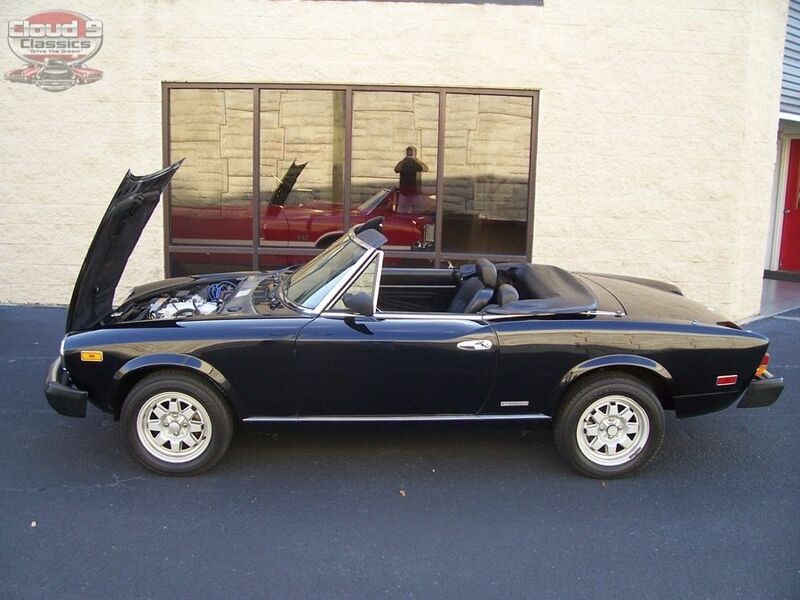 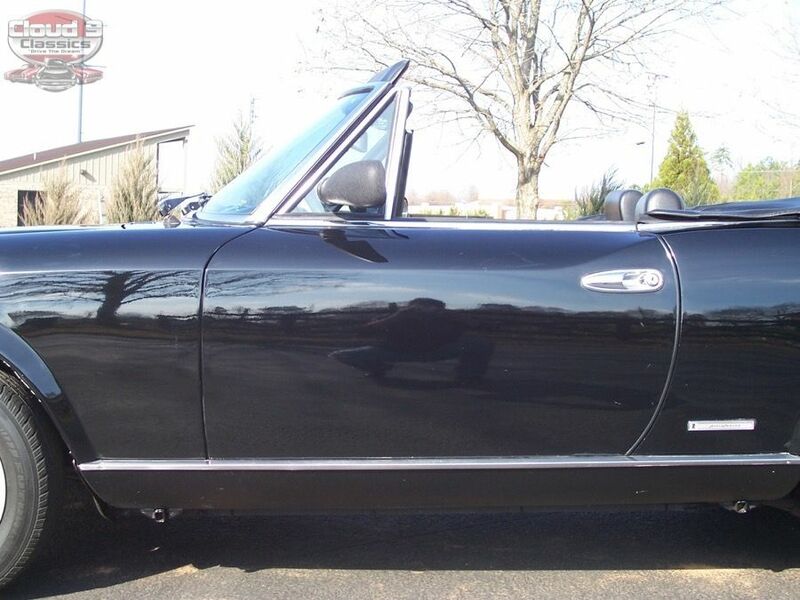 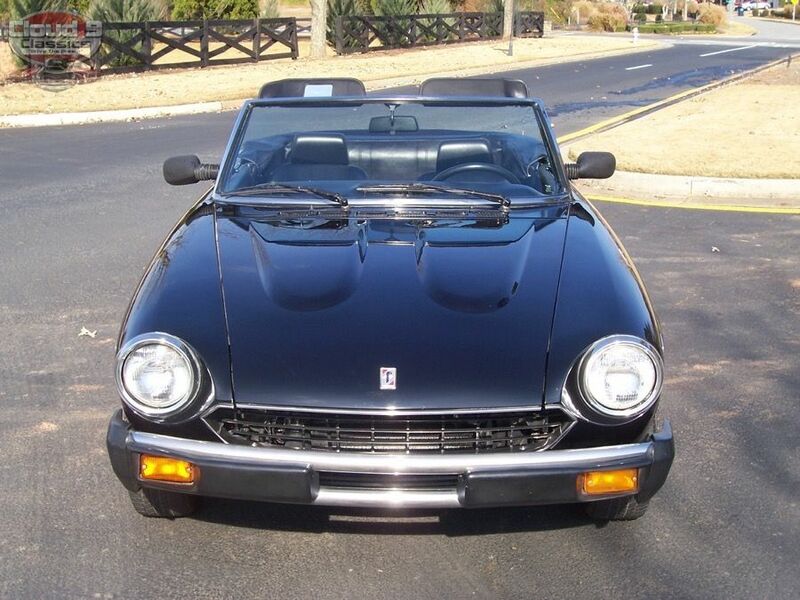 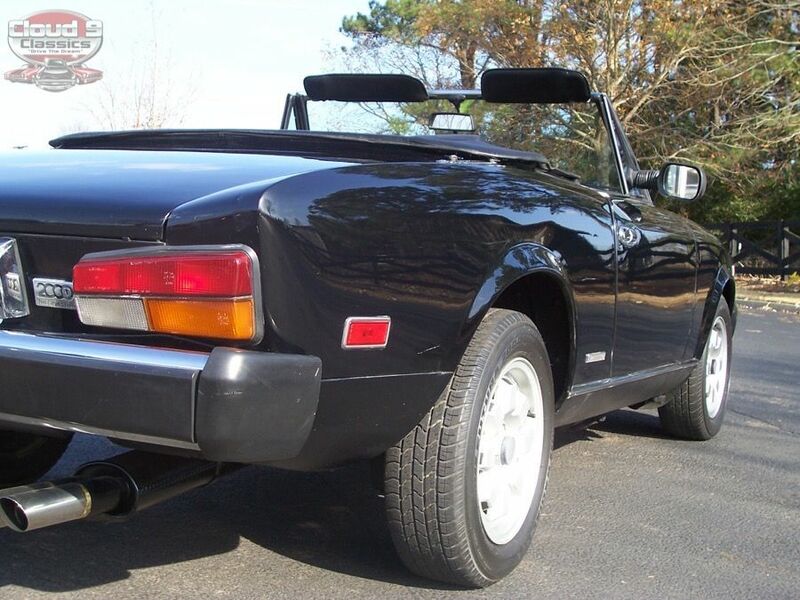 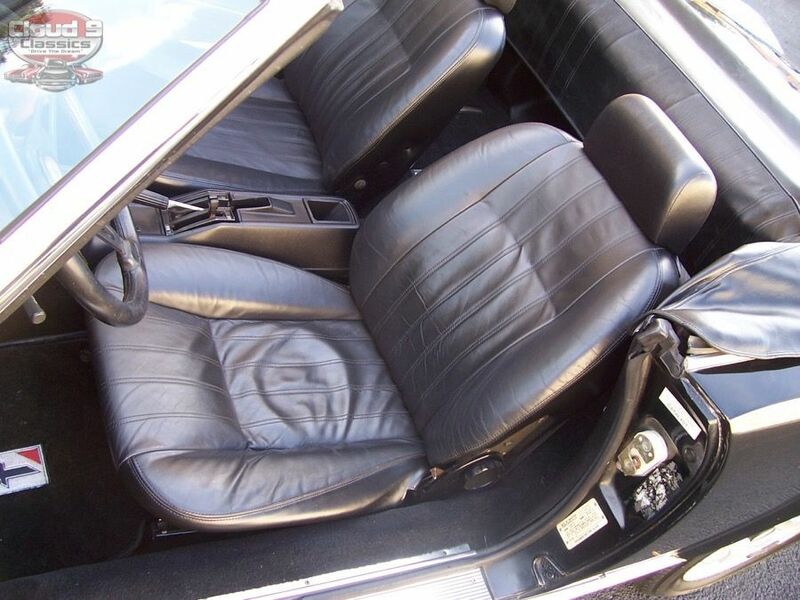 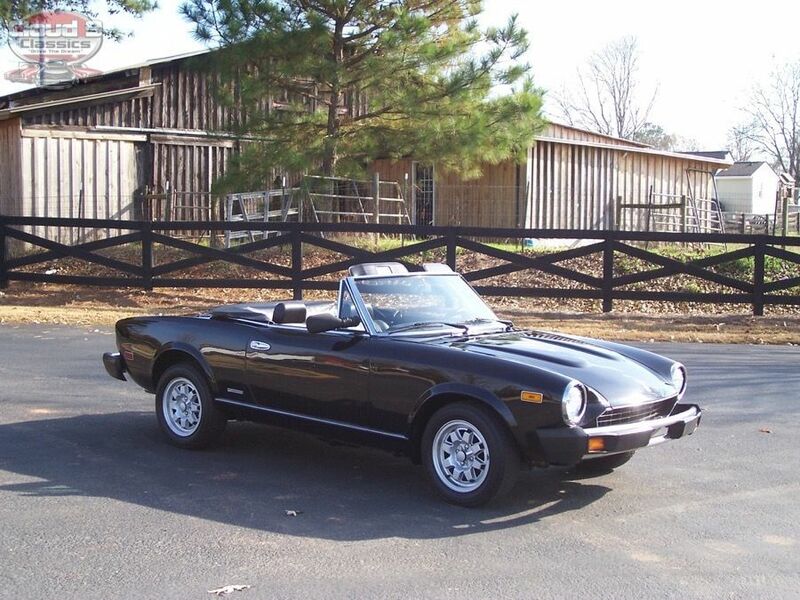 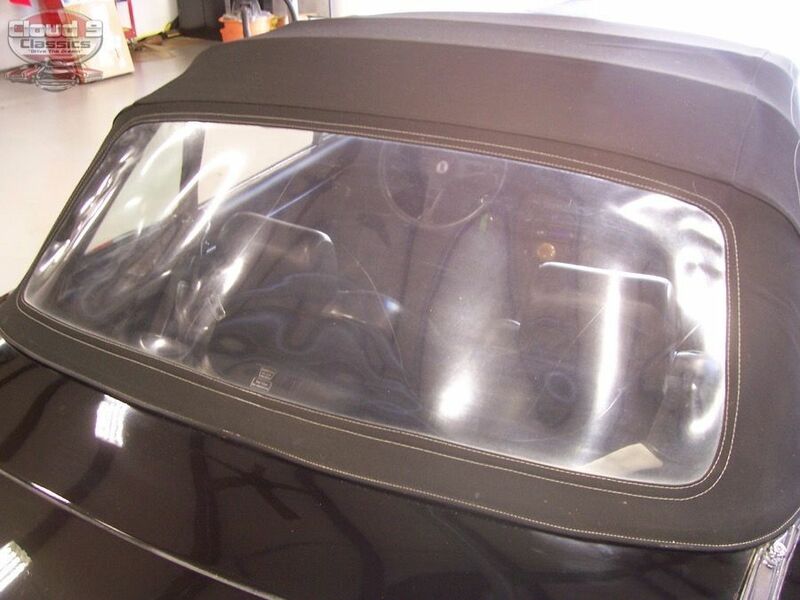 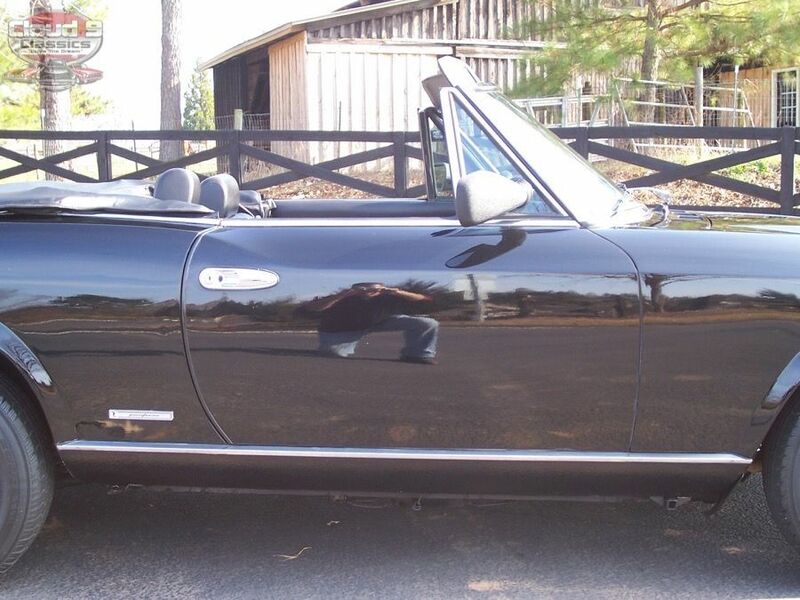 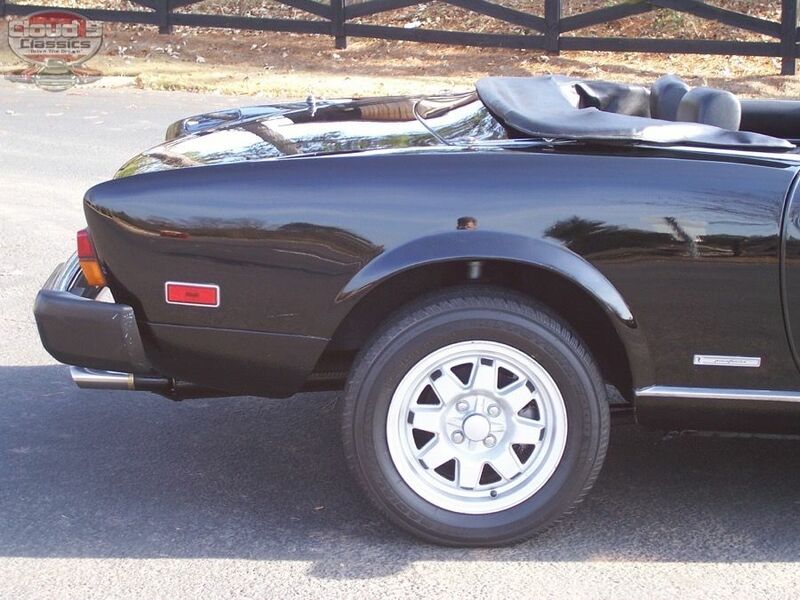 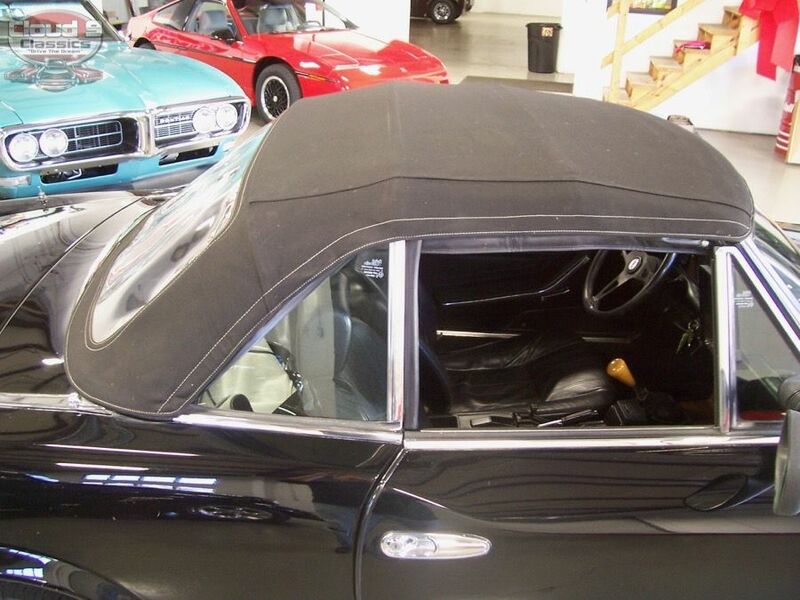 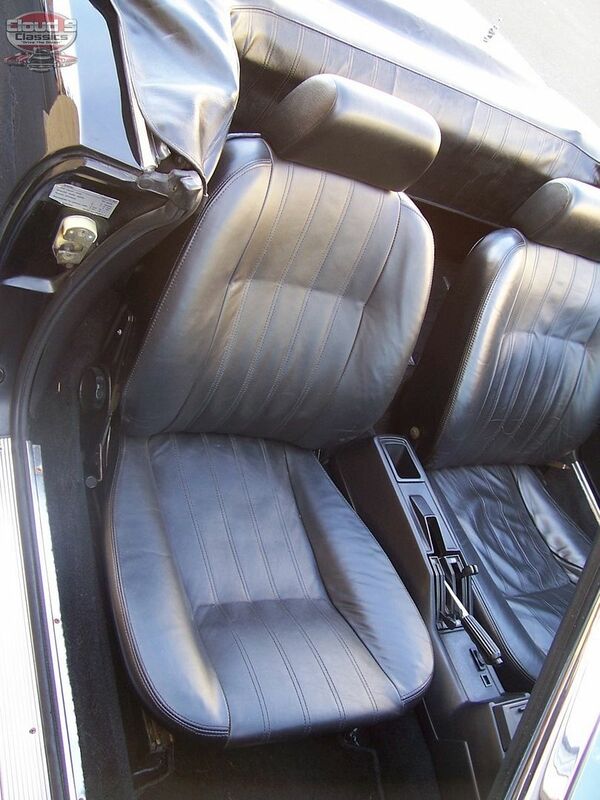 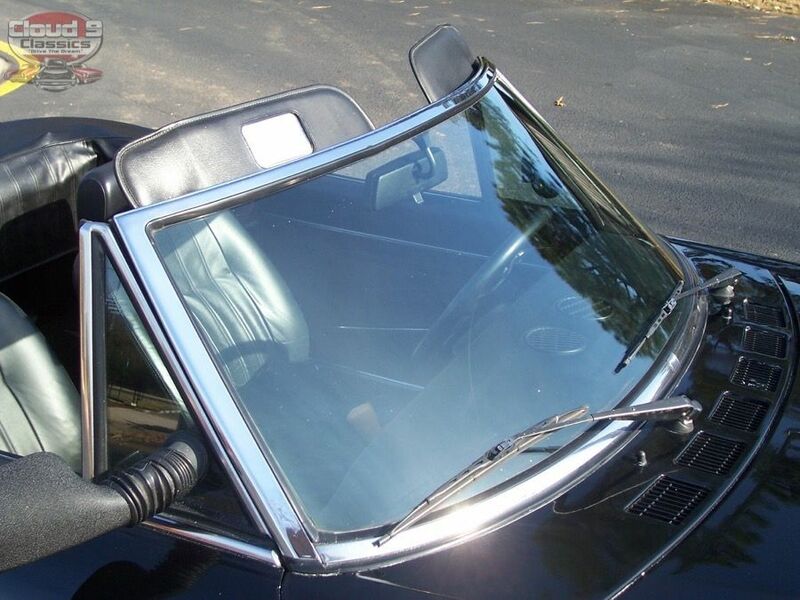 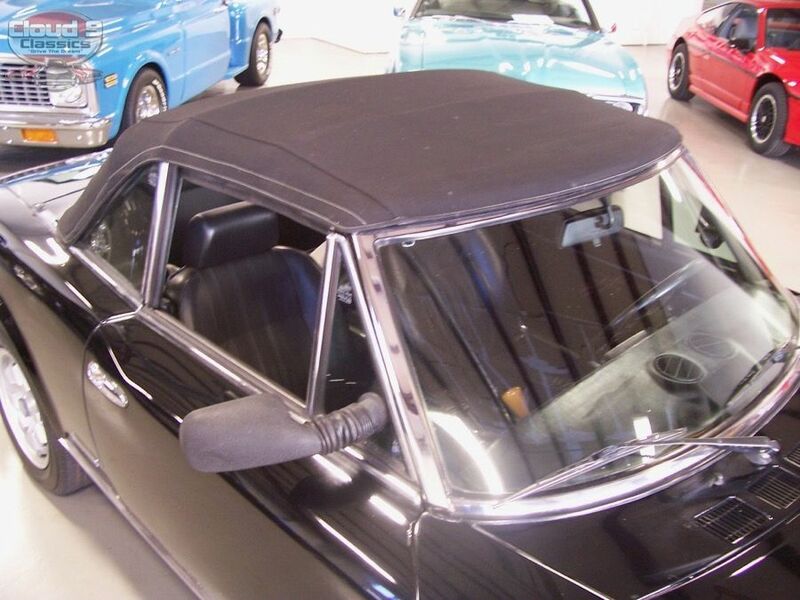 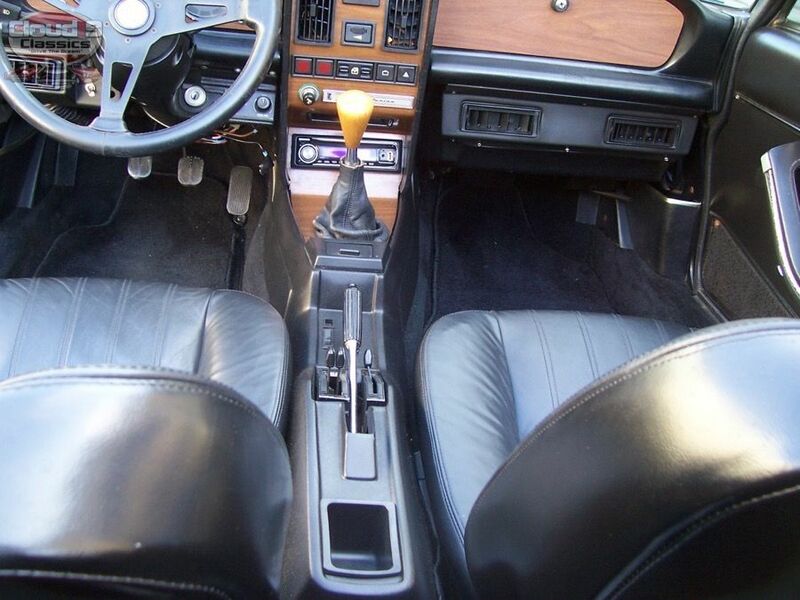 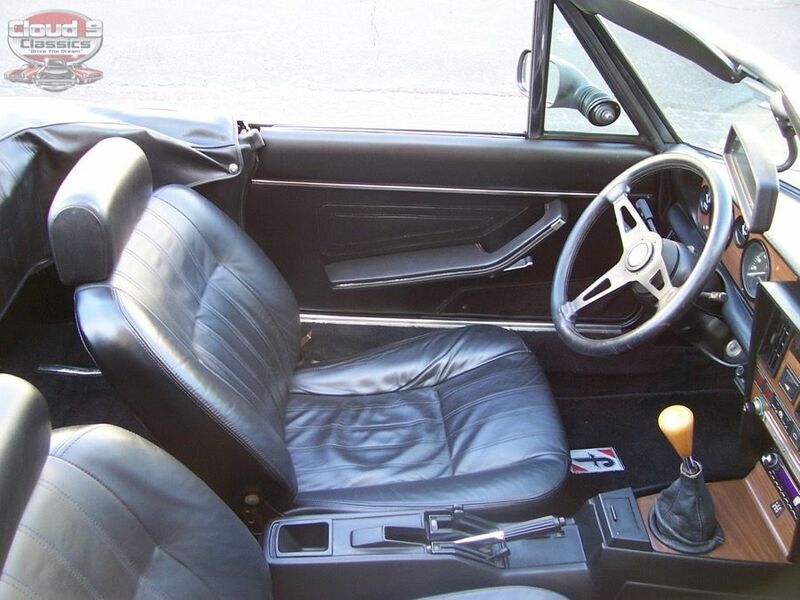 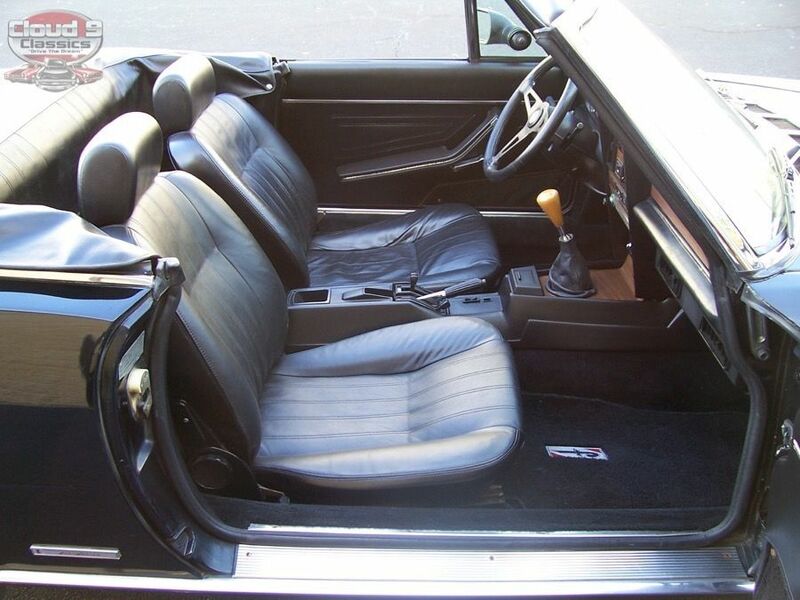 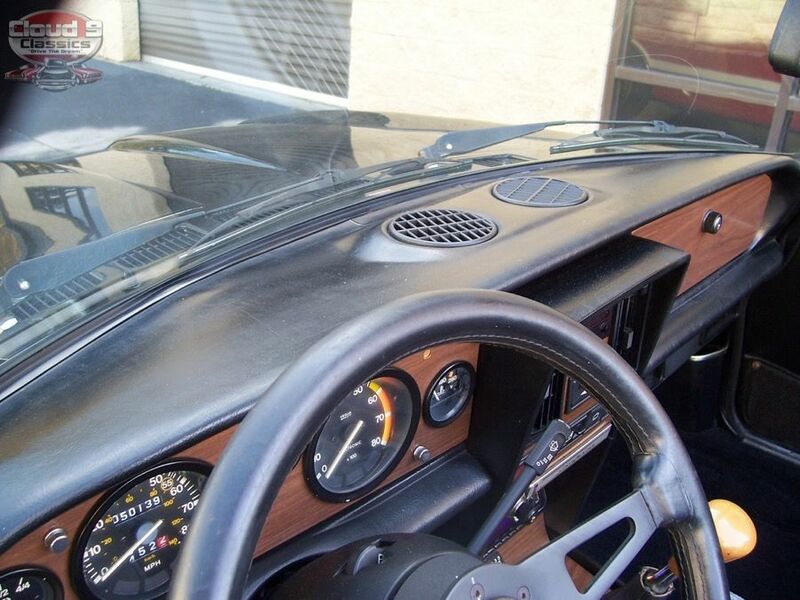 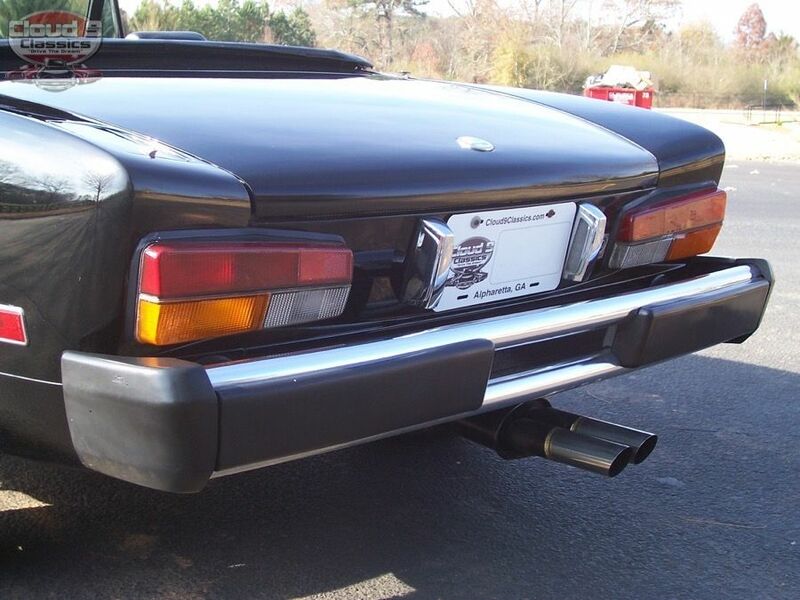 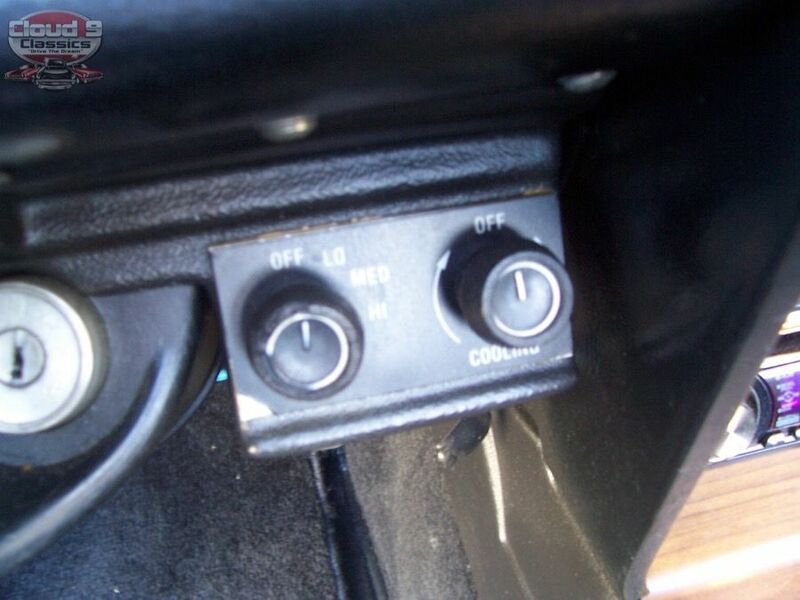 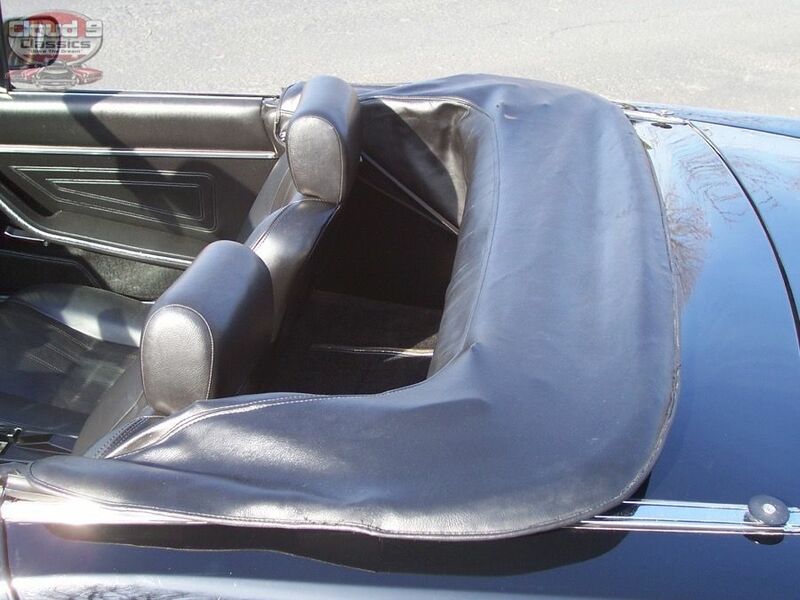 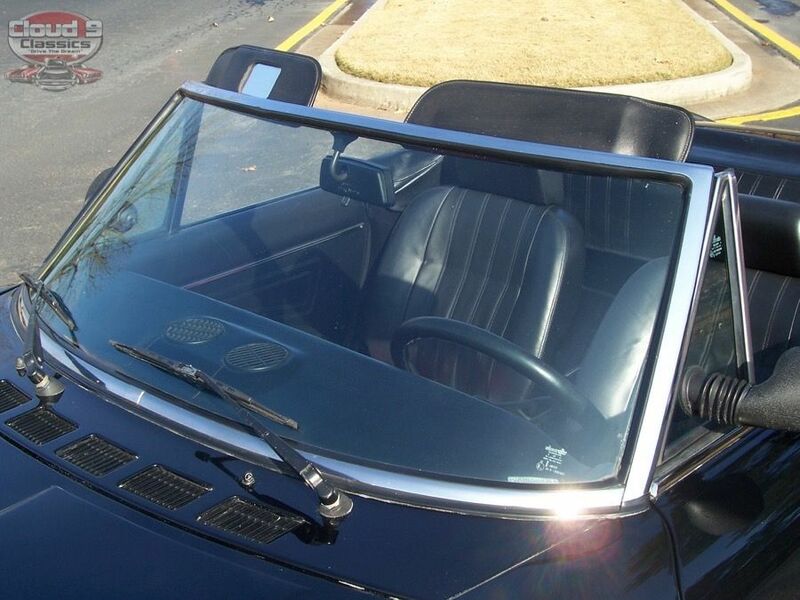 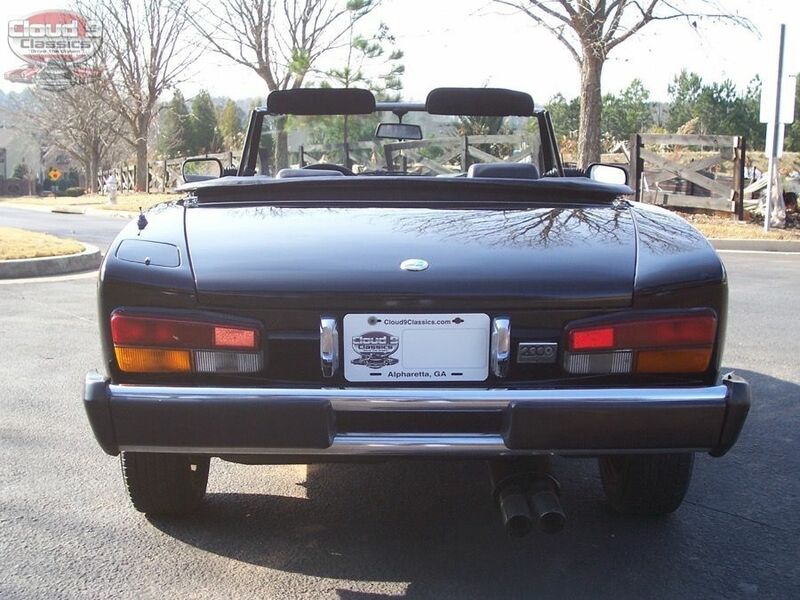 AWESOME, VERY RARE, FINAL PRODUCTION YEAR, 1985 FIAT PININFARINA SPIDER 2000….LOW MILES, TRIPLE BLACK, 5-SPEED, LOADED WITH A/C AND POWER WINDOWS…GREAT ITALIAN SPORTS CAR INVESTMENT THAT YOU CAN DRIVE AND ENJOY!! 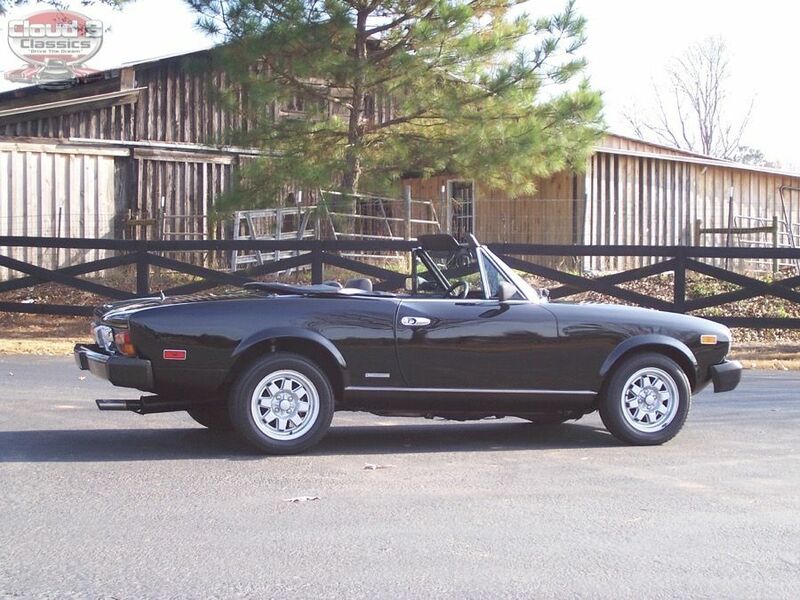 AFFORDABLE ITALIAN SPORTS CAR COLLECTIBLE THAT WILL BE ON A STEADY RISE IN YEARS TO COME, 1 OF 1504 PRODUCED IN THE FINAL 1985 PRODUCTION YEAR! 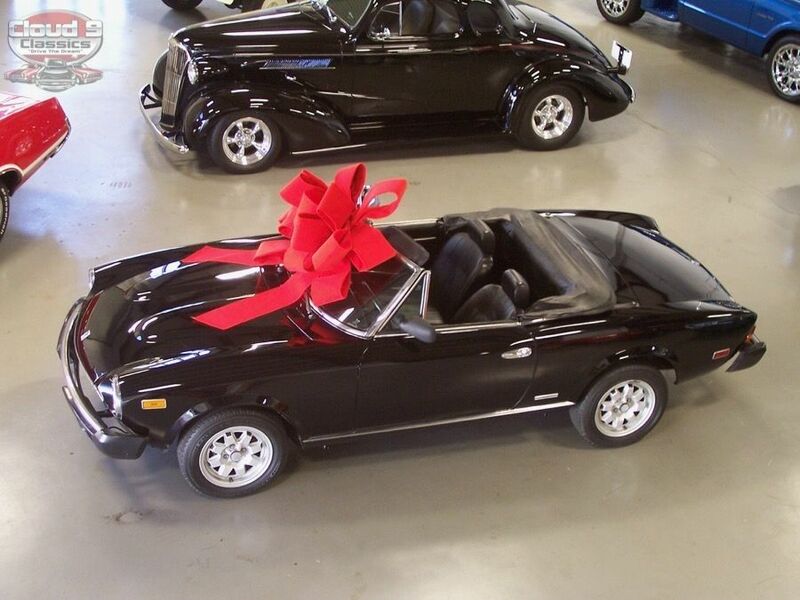 GREAT HOLIDAY GIFT FOR YOU OR YOUR LOVED ONE!!! 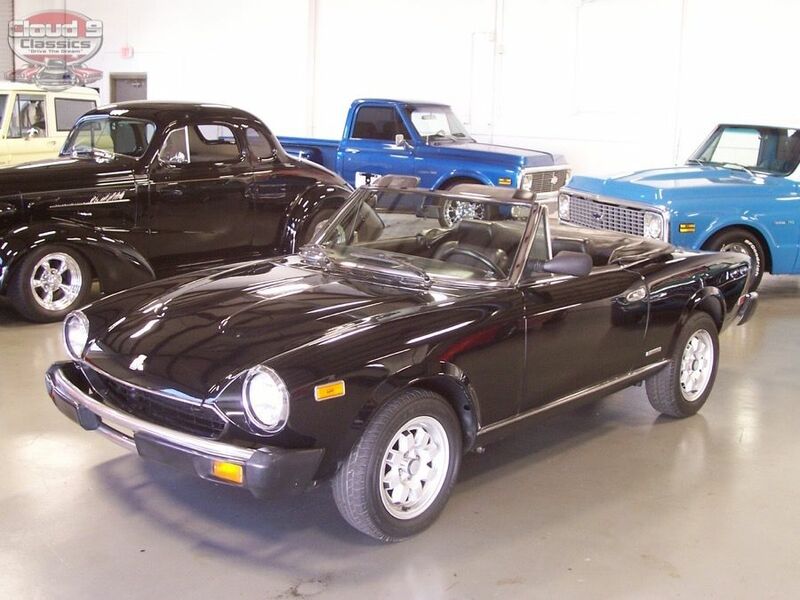 If you have been thinking about adding a super fun, very collectible, great little Italian Roadster to your garage then this 1985 Fiat Pininfarina Spider 2000 might just be the one you have been searching for. 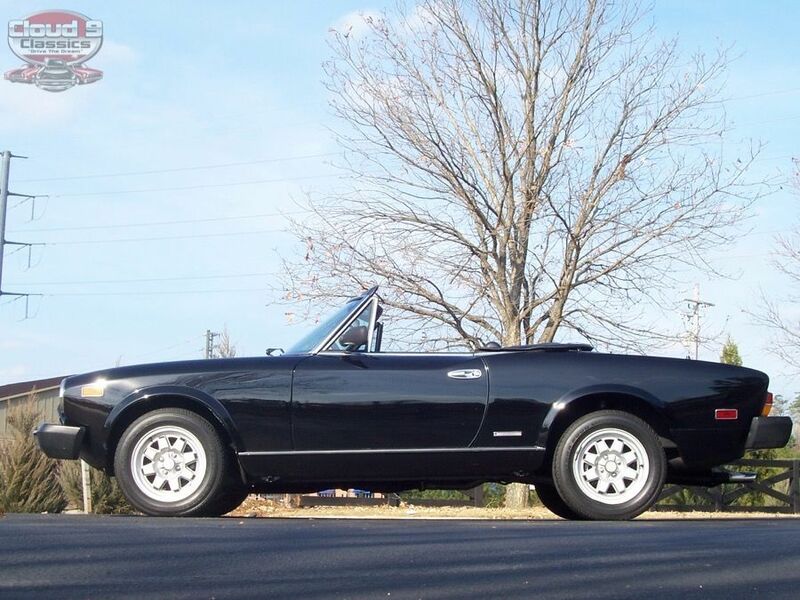 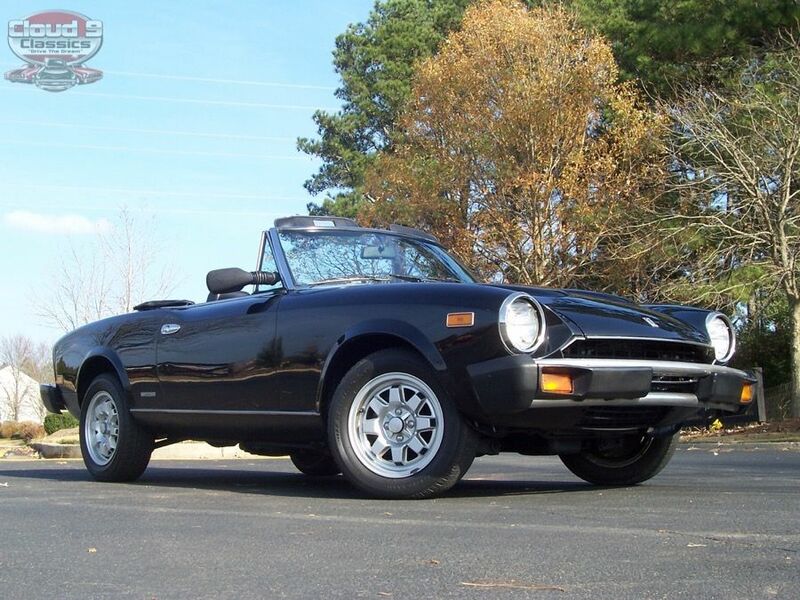 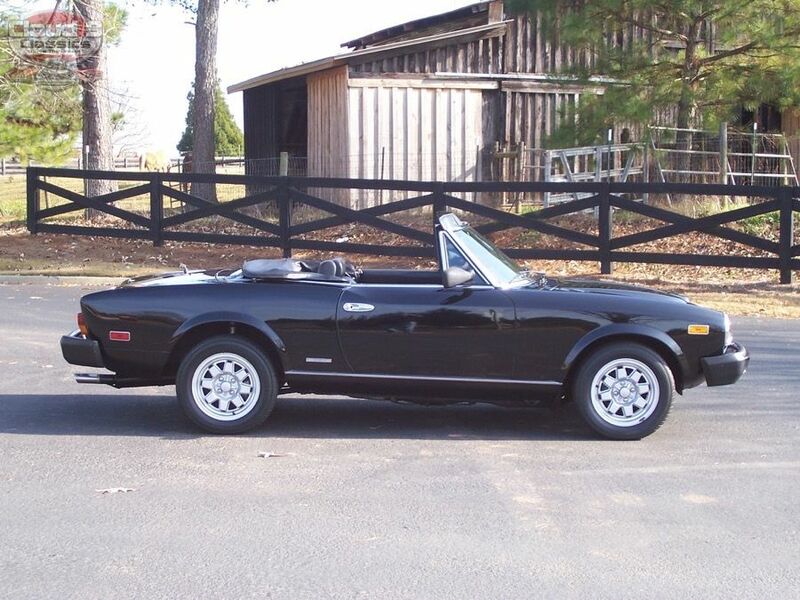 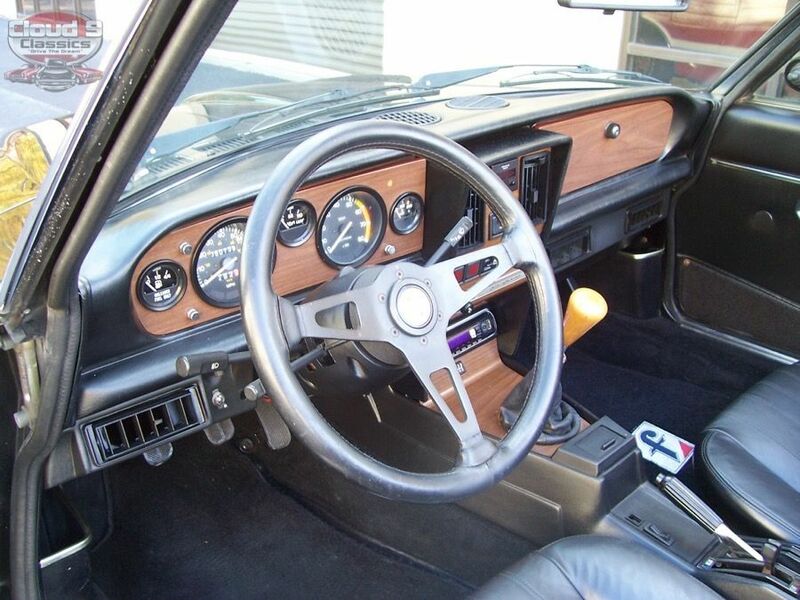 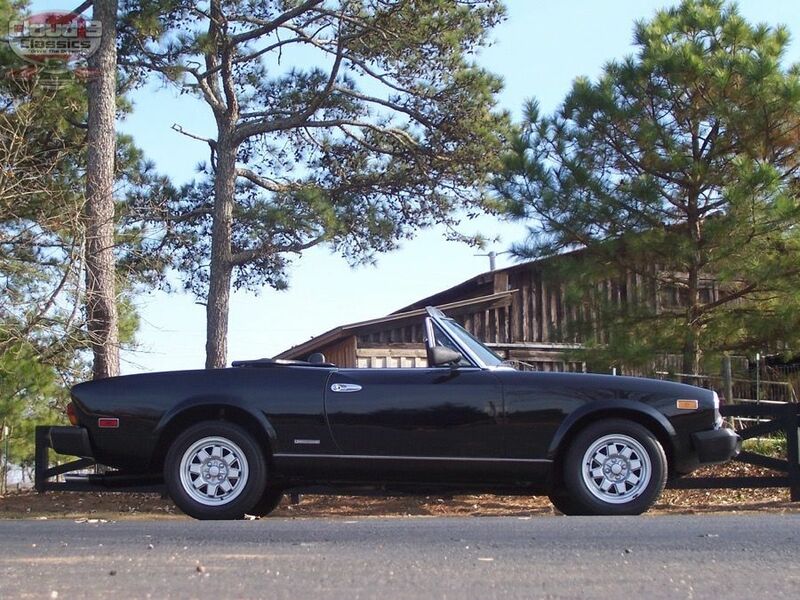 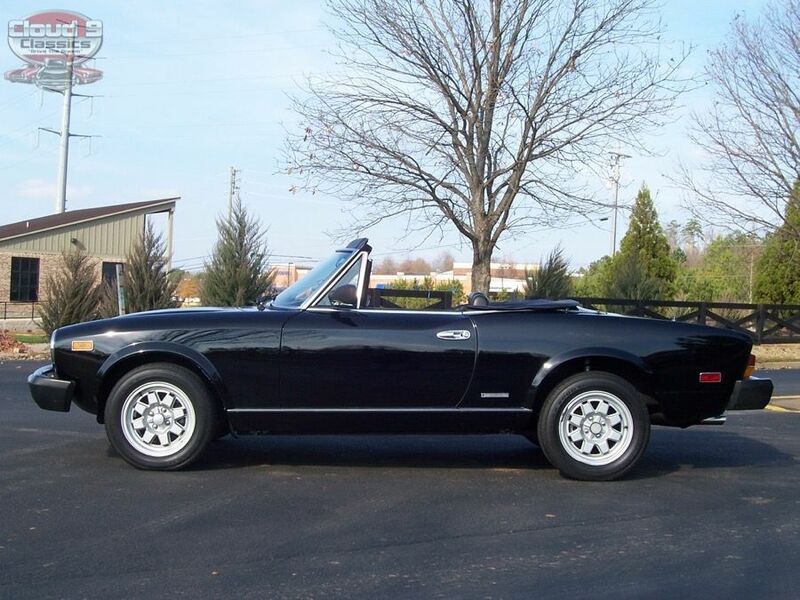 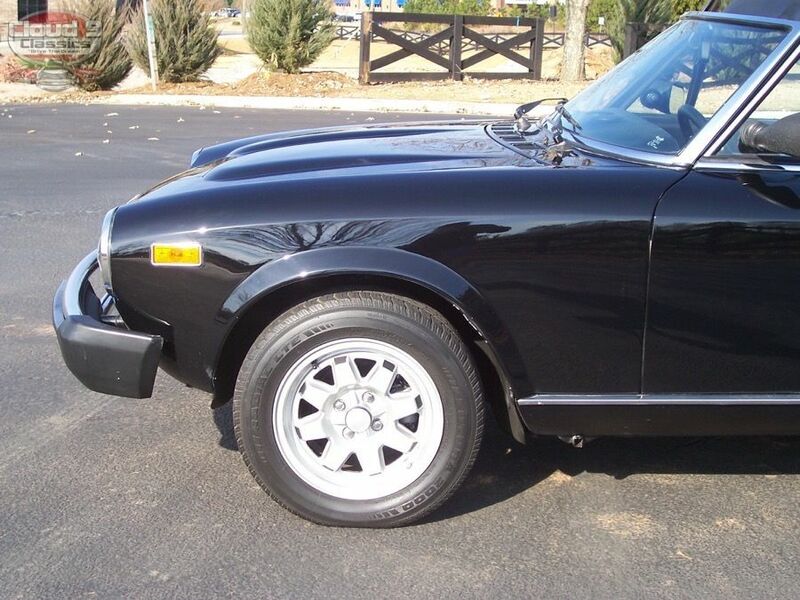 Produced almost exclusively for the North American Market, although sold occasionally in some European Countries, the Fiat 124/Spider 200 is becoming a very sought after roadster among car enthusiasts looking for an affordable sports car that can be driven and enjoyed as well as make a great investment. 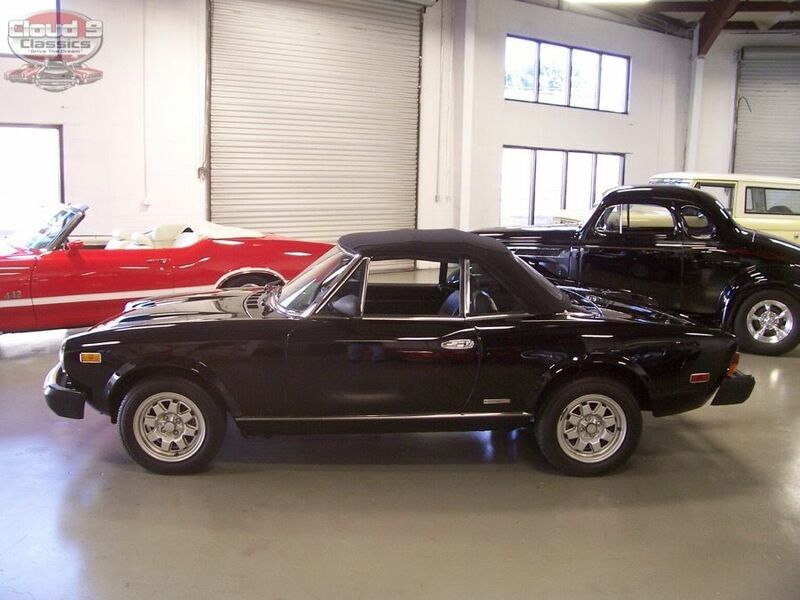 Designed by Italian stylist and coach builder Pininfarina, the Fiat 124/Spider 2000 rivaled the MGB and Alfa Romeo as the worlds longest running sports car. 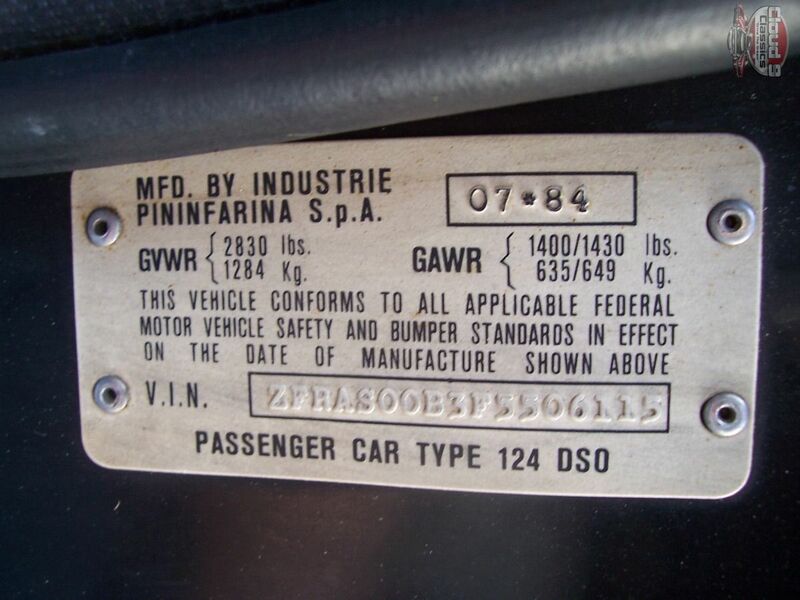 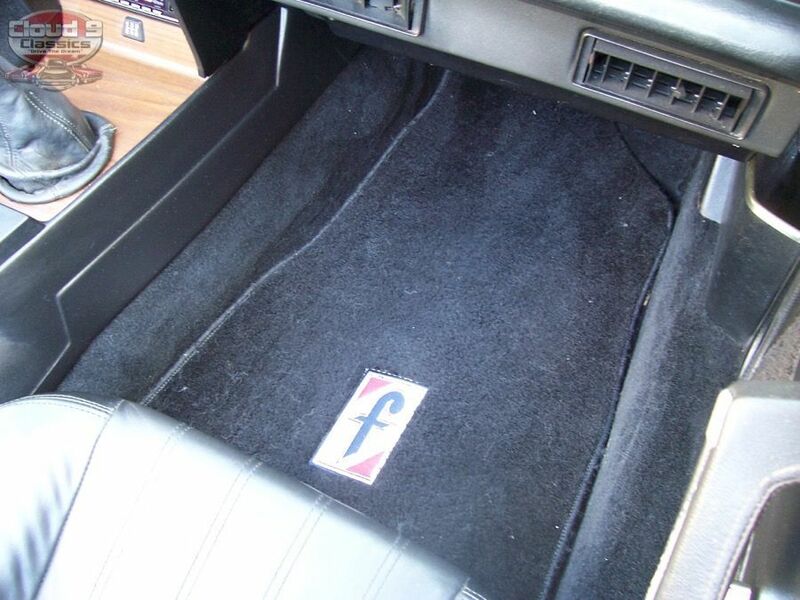 In 1982 Pininfarina, who had always assembled the bodies since production began in 1966, took over sole responsibility for the the entire assembly, distribution, and marketing of the car. 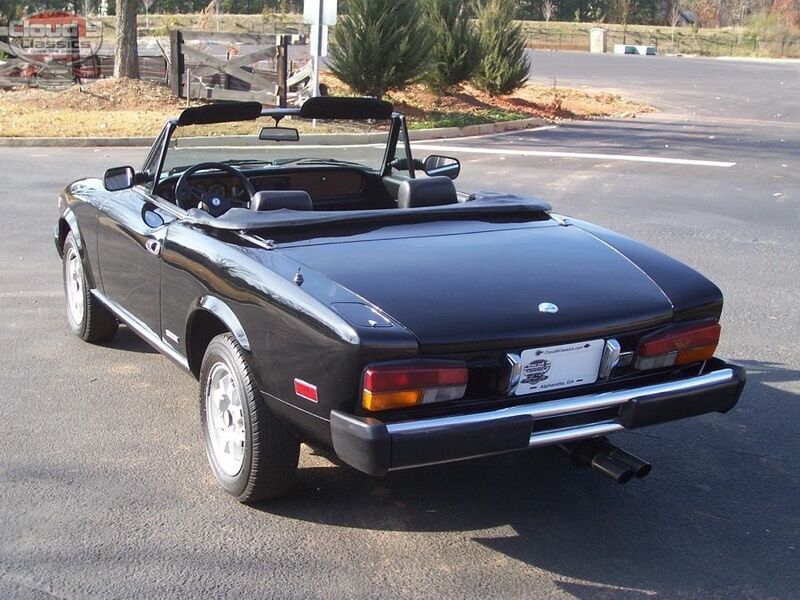 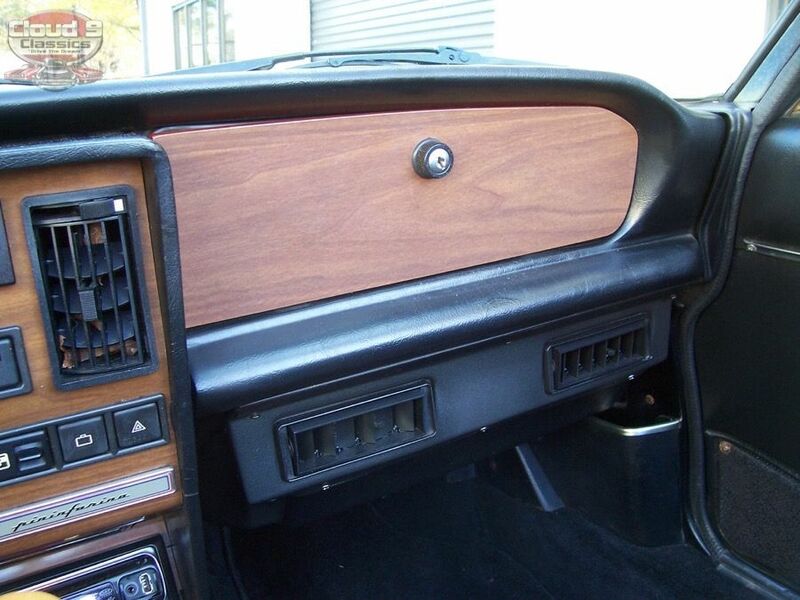 1982 was the last year they wore the Fiat badge and production ceased in 1985. 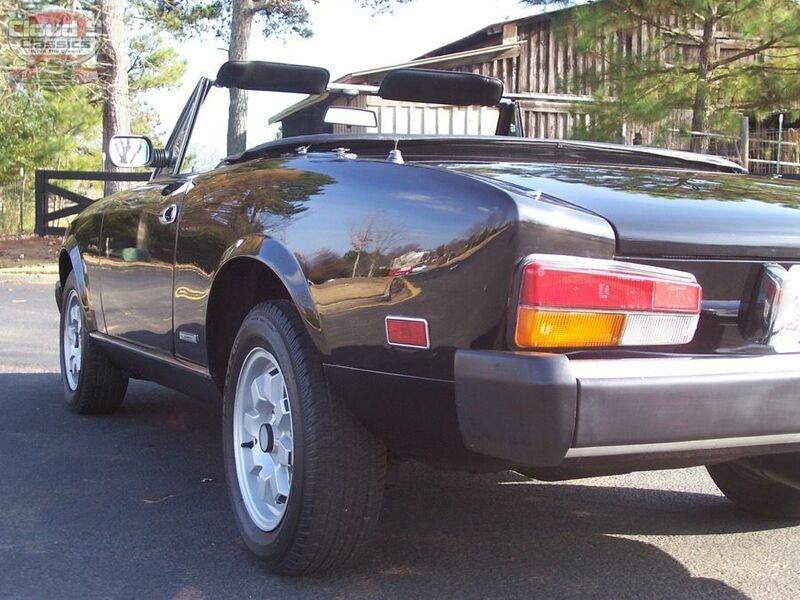 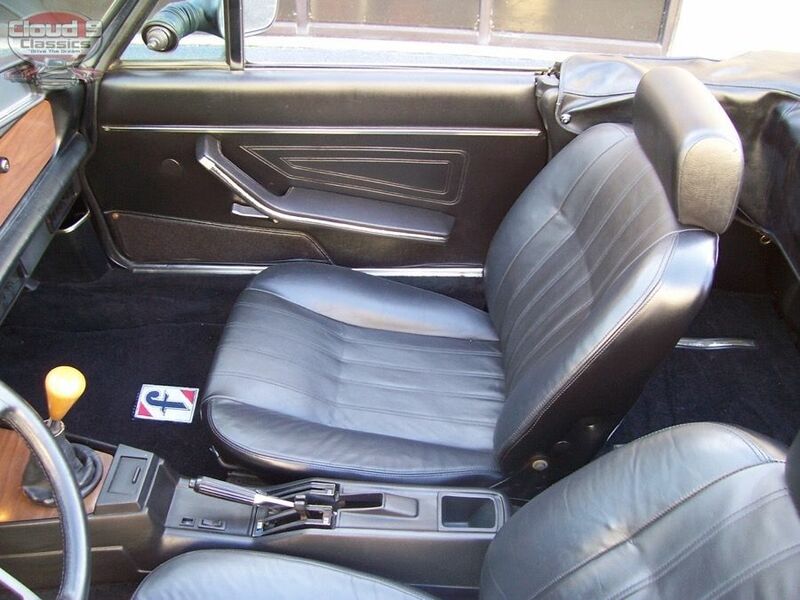 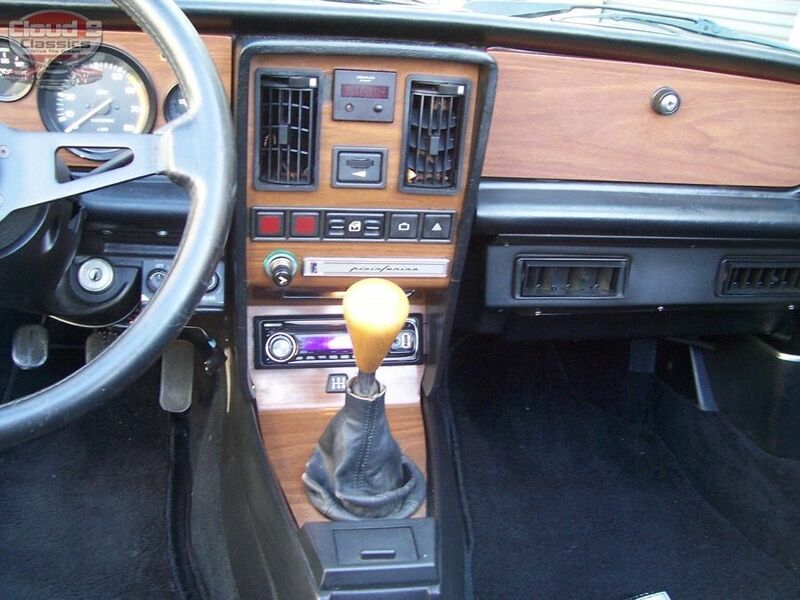 The 1985 models are extremely sought after and had the lowest production numbers. 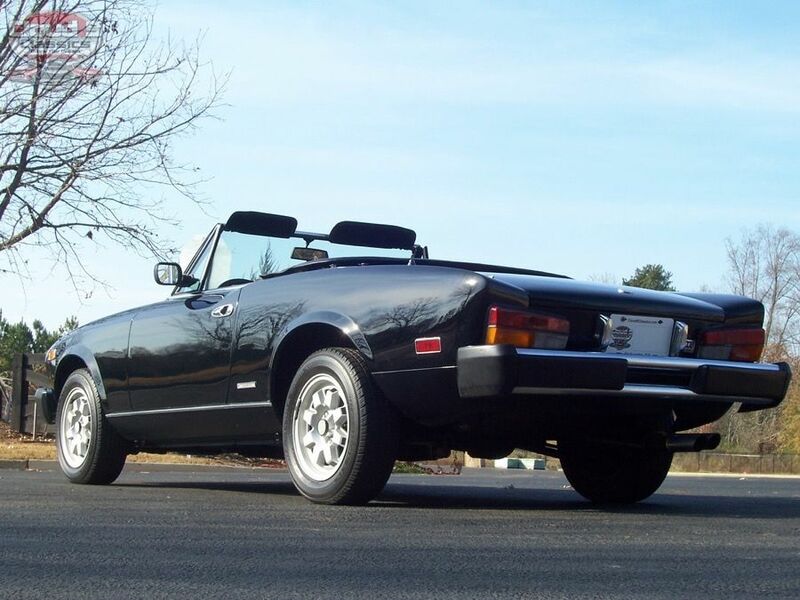 This Triple Black Beauty is one of those rare final production year cars. 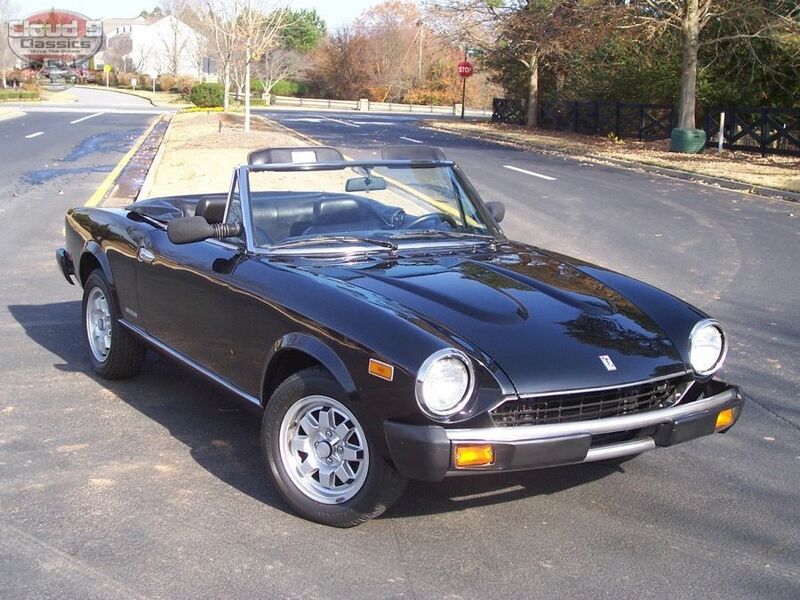 This ’85 Pininfarina was previously owned by a very well known micro-car collector here in the Atlanta, GA area who actually had a micro car museum. 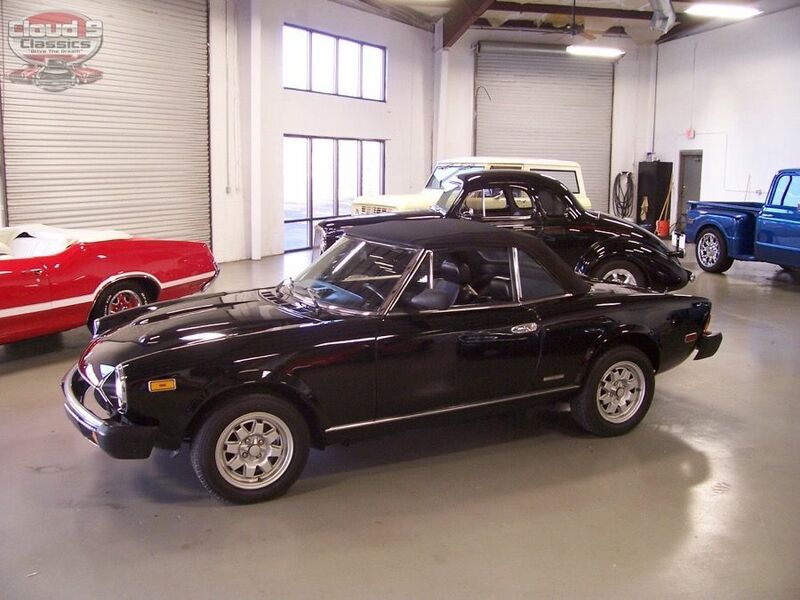 He auctioned off his entire collection in 2013 but his love for cars continues. 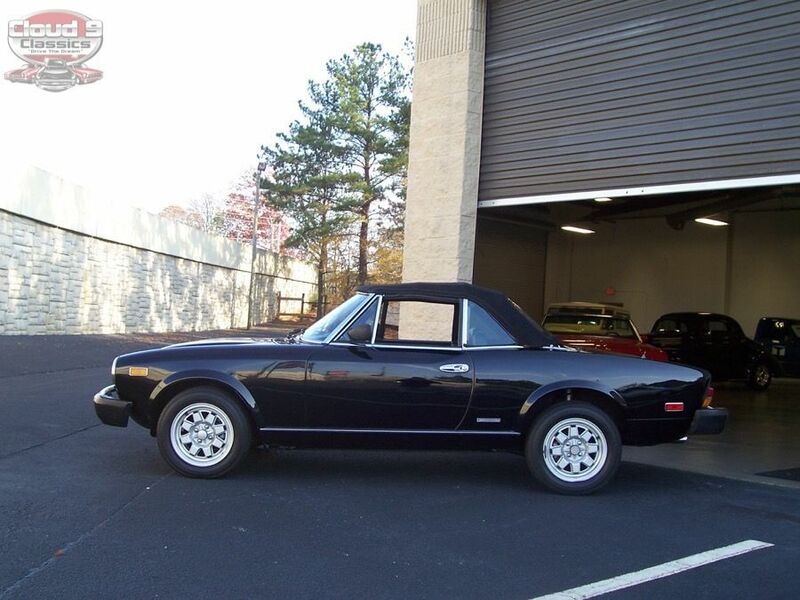 He bought this ’85 Pininfarina in 2014 and kept it for a few years before deciding to let it go to the next lucky owner….maybe you!!? 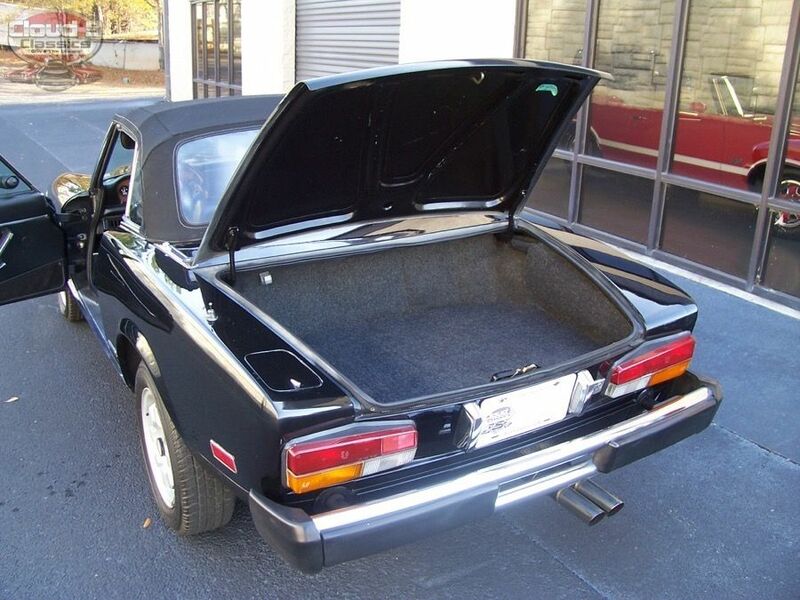 The car had spent a good part of its life in Florida and Georgia and as a result lived a much better life than most with a very solid body and undercarriage. 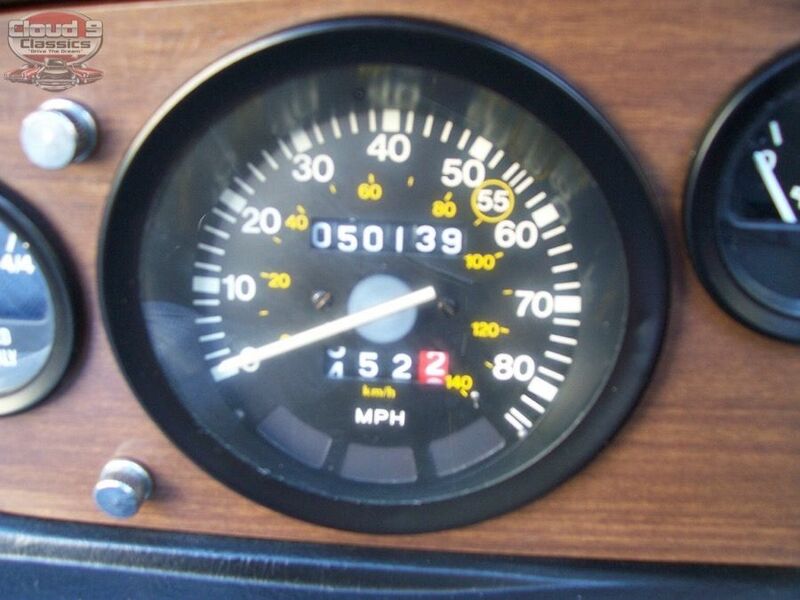 The mileage is very low at just over 50,100 miles and it runs and drives great. 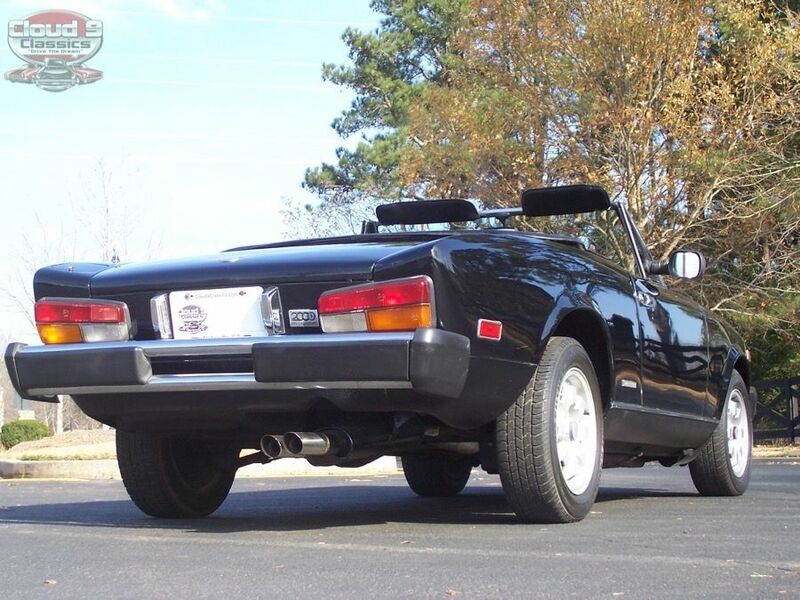 I will do my best to provide enough large images, a video of the car running, and an honest description to help you decide if this is the one you have been looking for. 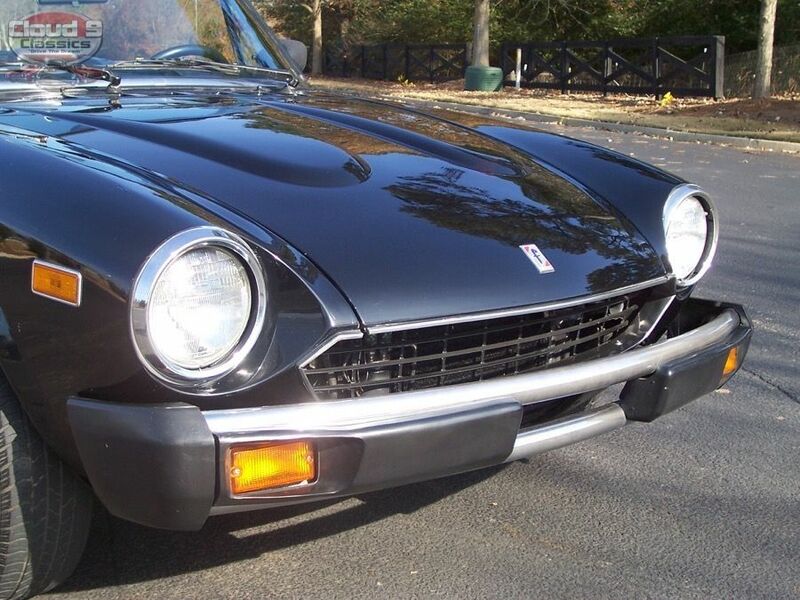 As with all of my classics I do have this car advertised on my website and several others. 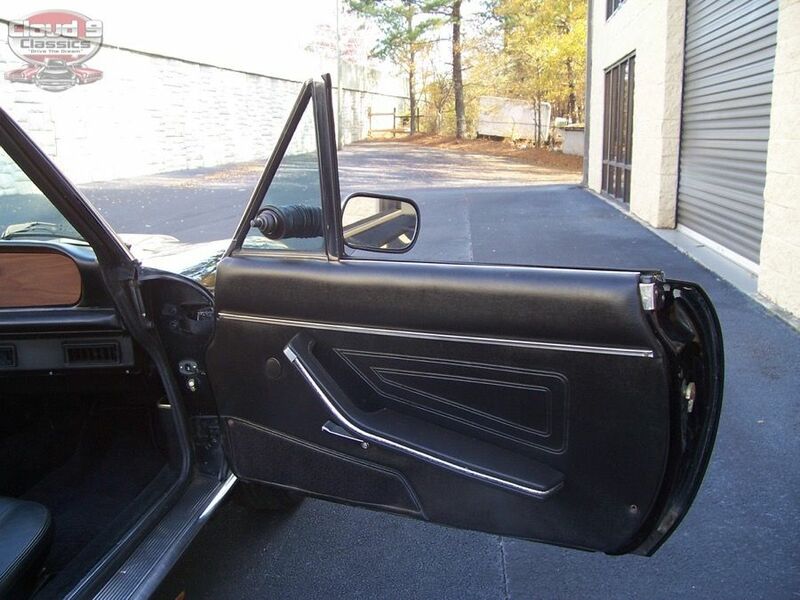 If you want to scoop it up before the next car guy or gal does feel free to call me to discuss how we can make that happen. 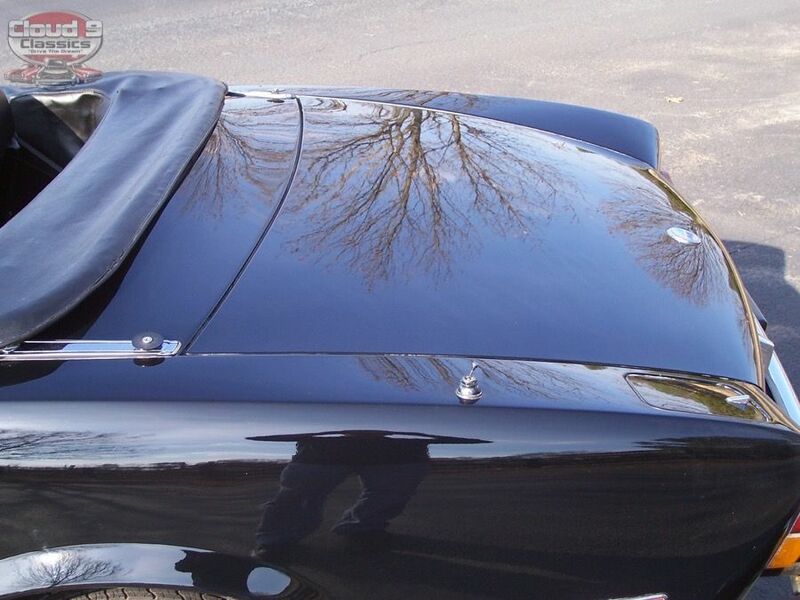 I am also a transport broker and can assist in getting you a great rate on transport anywhere in the US. 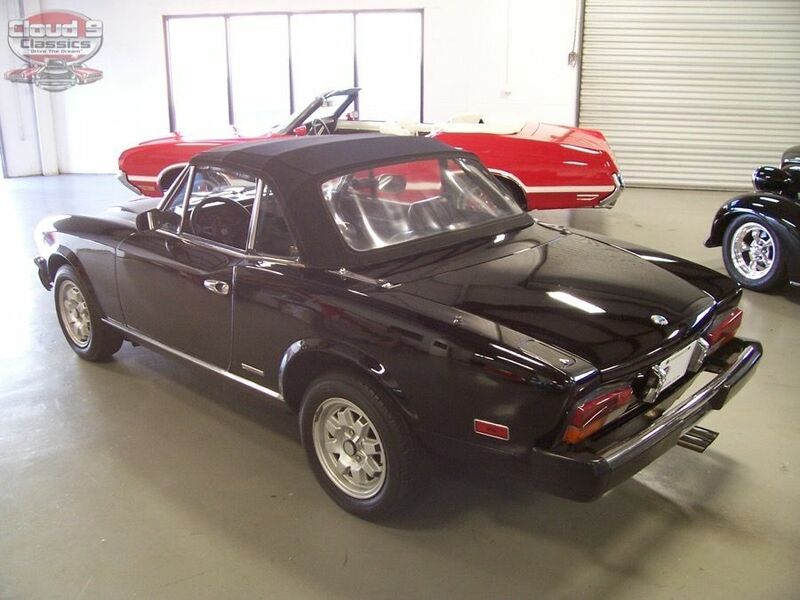 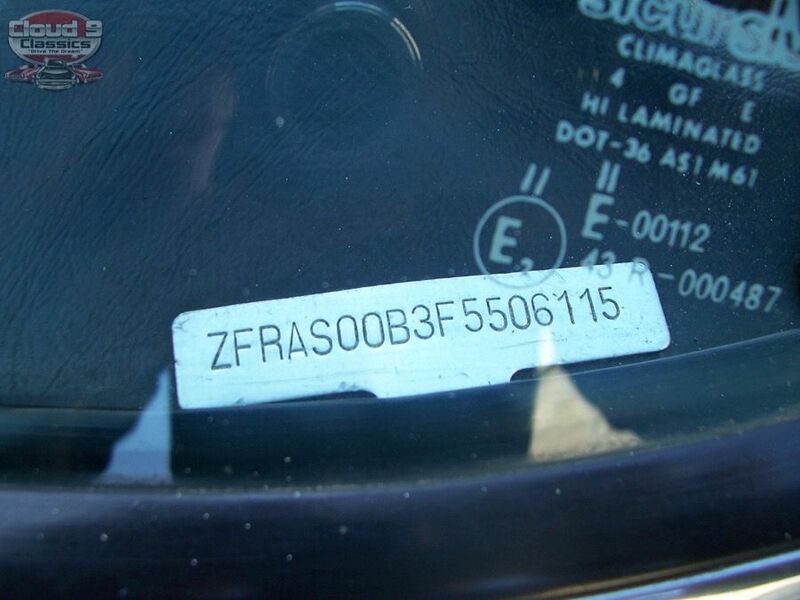 I also welcome overseas buyers and can assist in getting the car to the port of your choice. 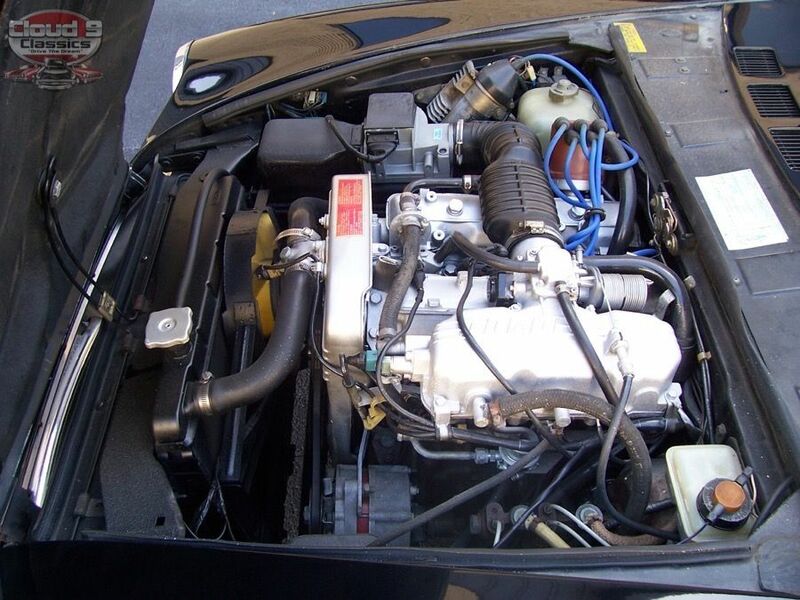 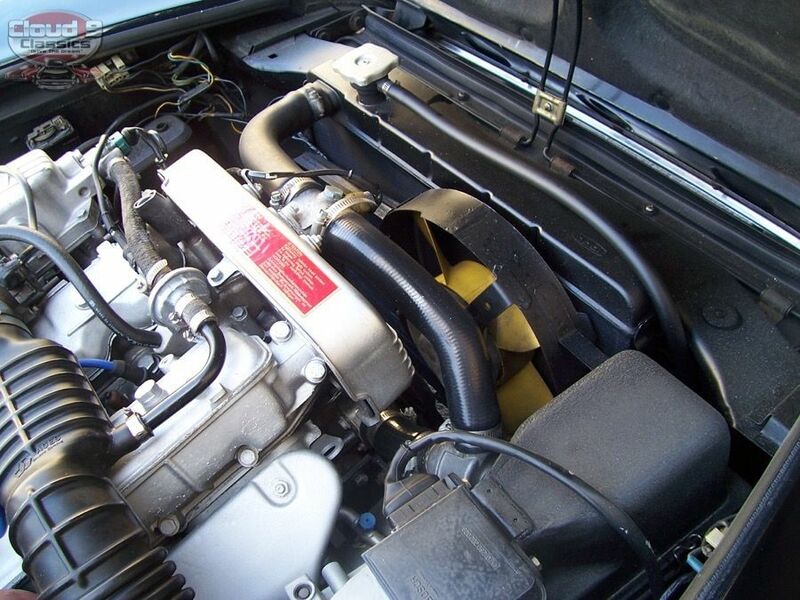 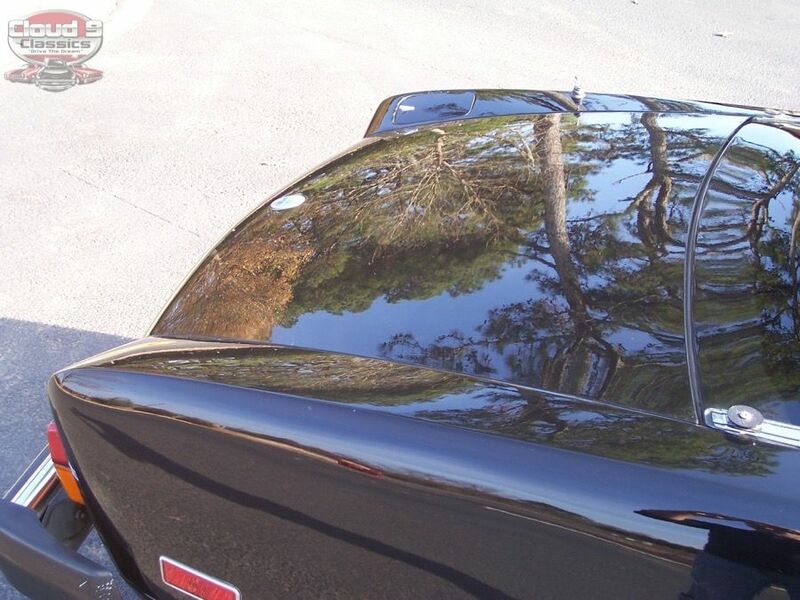 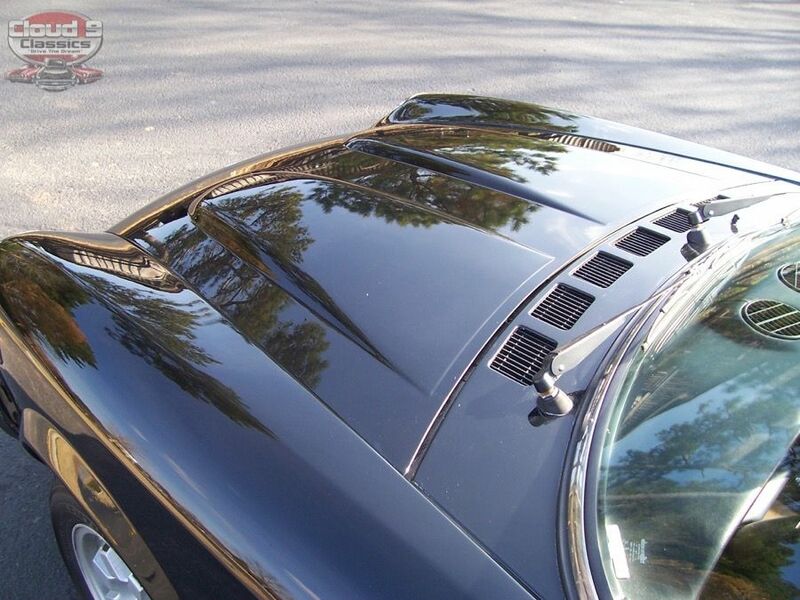 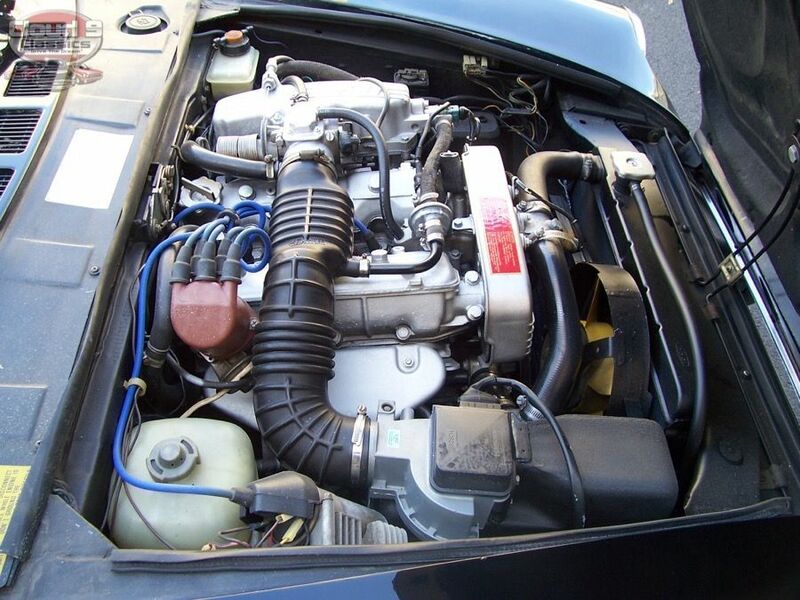 Under the awesome double hump design of the hood of this Pininfarina is the spirited 1995 cc DOHC 4 cylinder fuel injected spunky motor that has just over 50,100 miles on it. 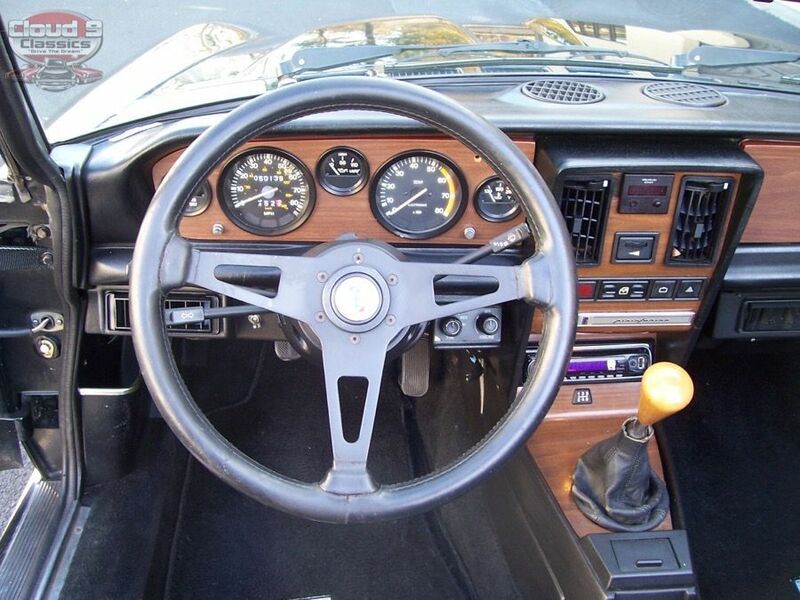 Mated to the 5-speed manual transmission this car has some fun low end and higher end torque but is by no means consider really fast. 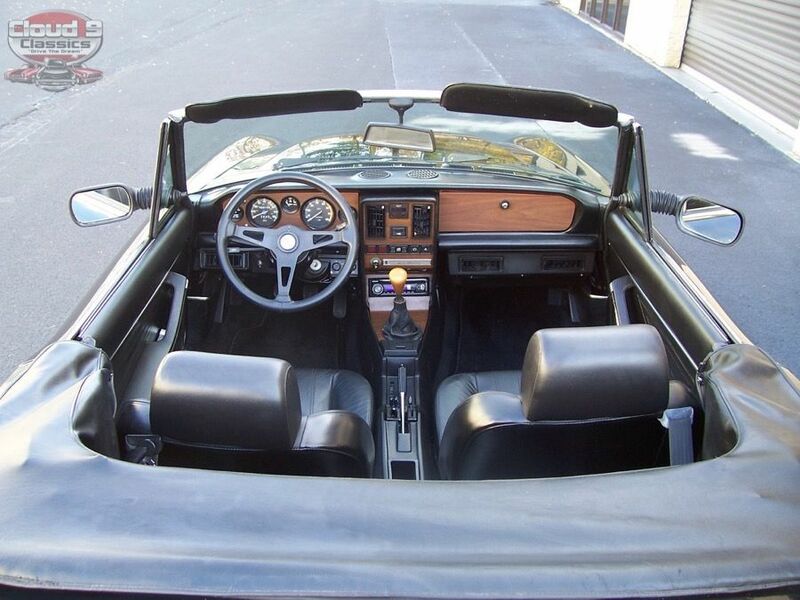 While the weather was still warm I was able to take it our for a spirited test drive with the top down and she was a blast to drive through all 5 gears and pulled nice and strong. 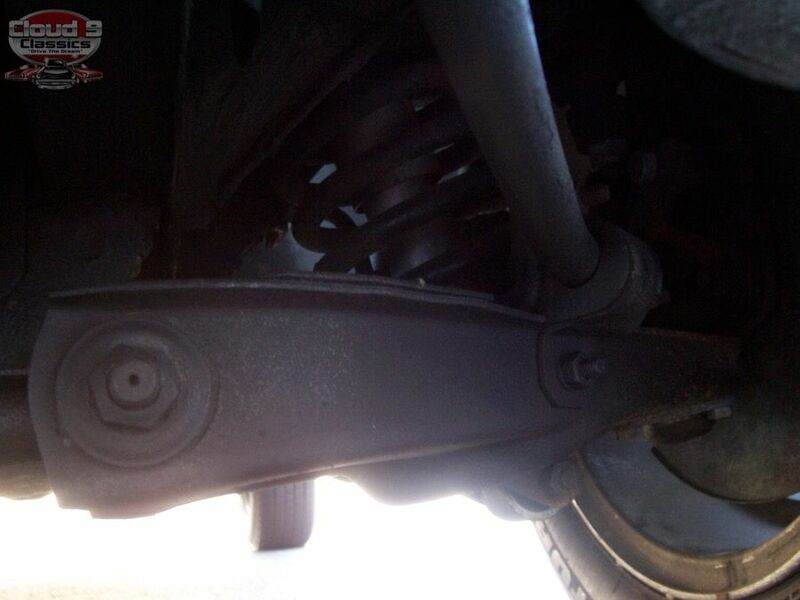 You will have no problem keeping up or passing folks on the highway and the sport suspension makes it a blast to drive along curvy roads. 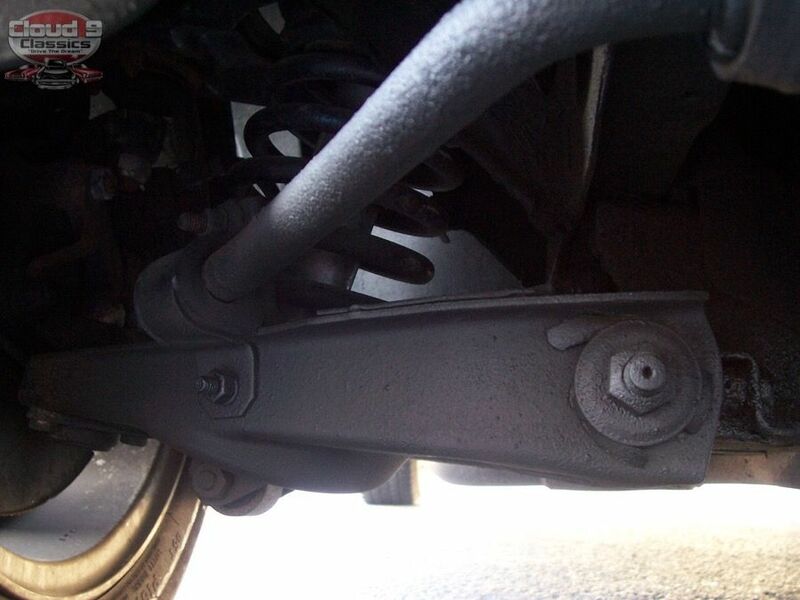 Braking is a breeze thanks to the 4 wheel disc brakes. 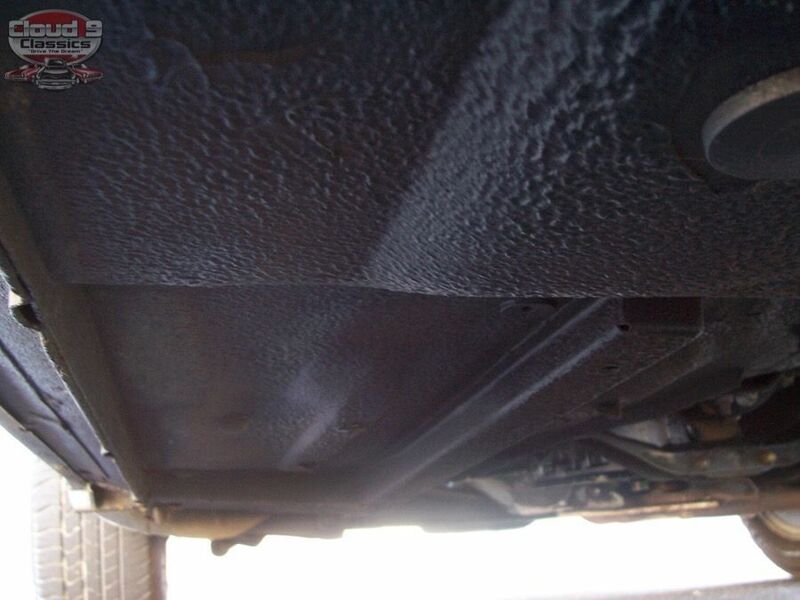 Although I do not have previous maintenance history it is safe to say this car was well maintained and there are no unusual noises, smoking or leaks from the motor. 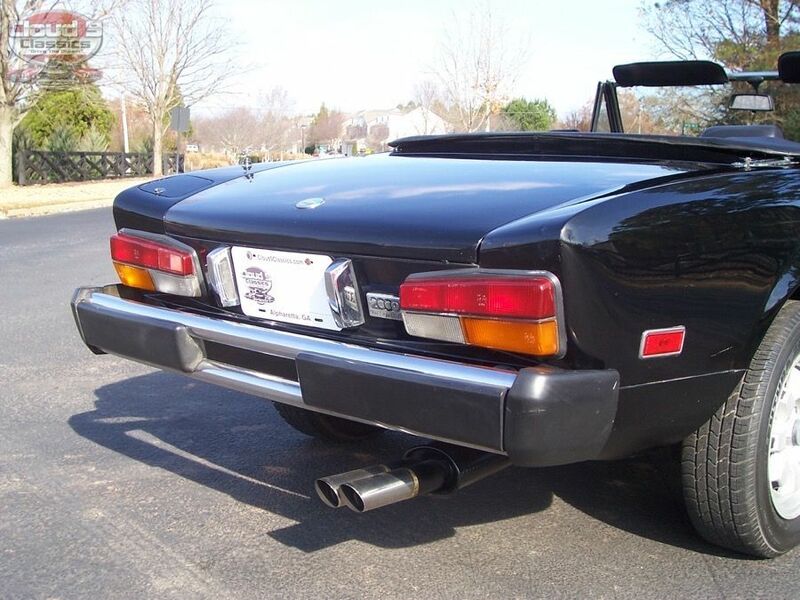 Nice tone from the Ansa Exhaust that was added. 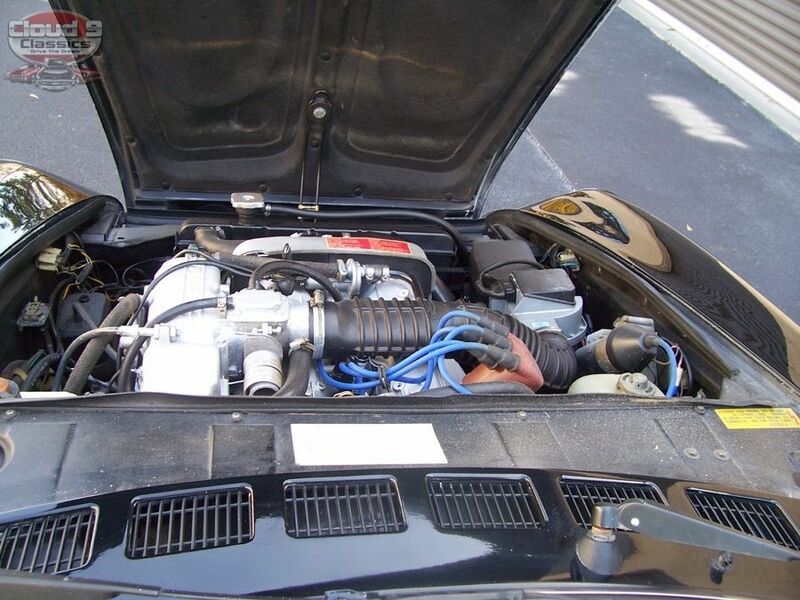 Engine bay is very clean and you will be proud to pop the hood at the shows and cruise ins. 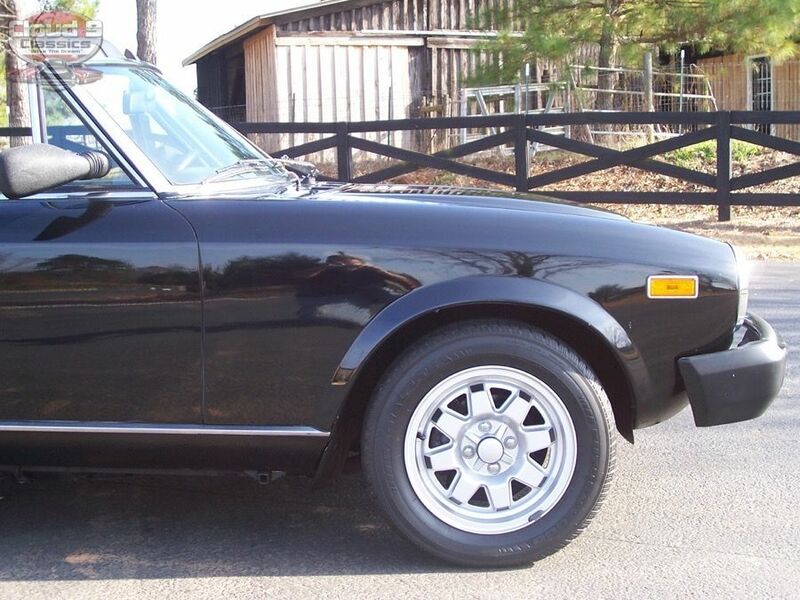 The original wheels are in very nice condition overall with just a small spot on one wheel that is slightly bent probably from hitting a pothole at one time. 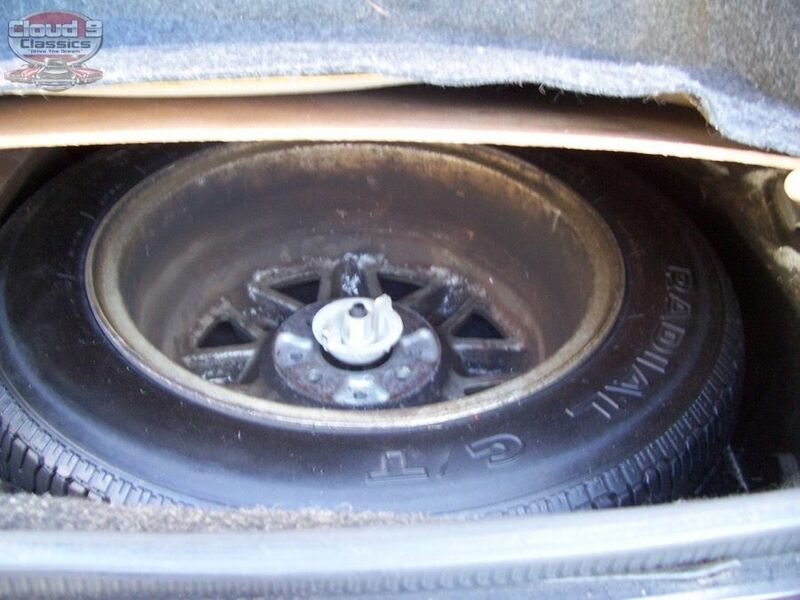 An original matching wheel is in the trunk. 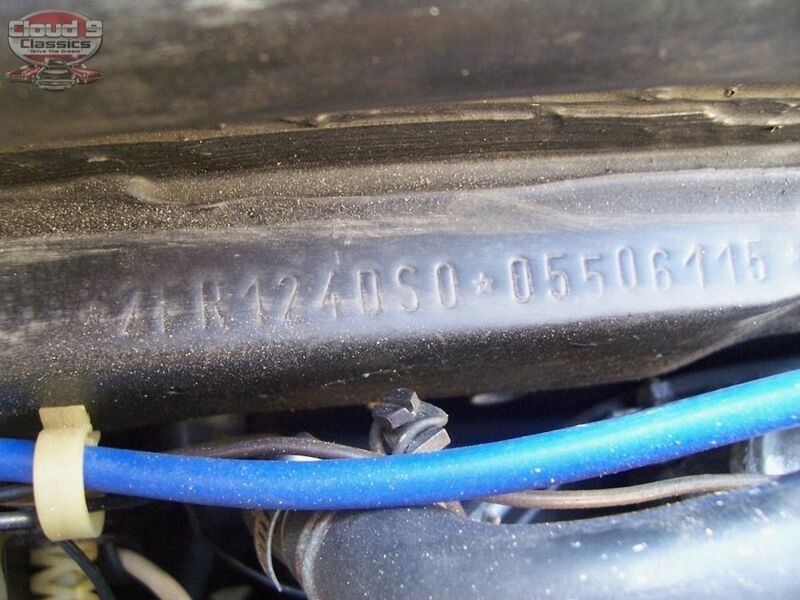 Tires have plenty of tread life but due to age might need replacing at some point if you plan on driving long distances. 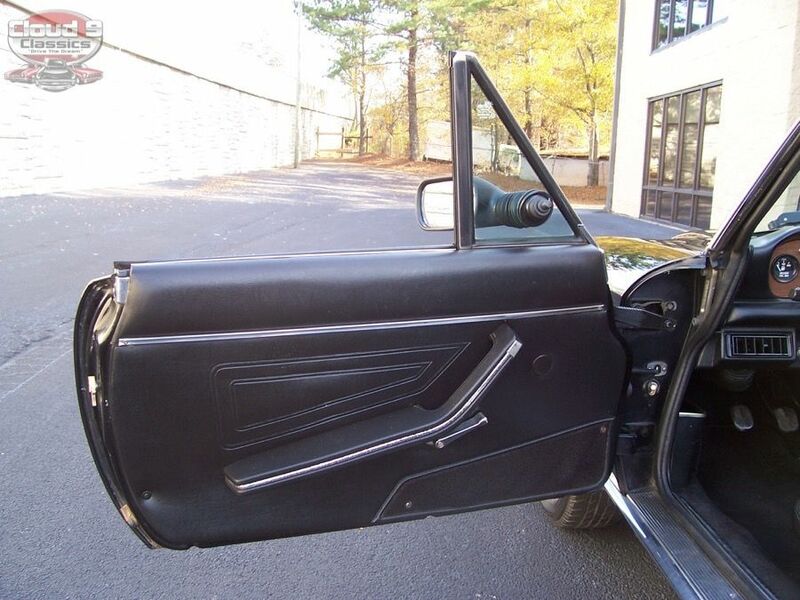 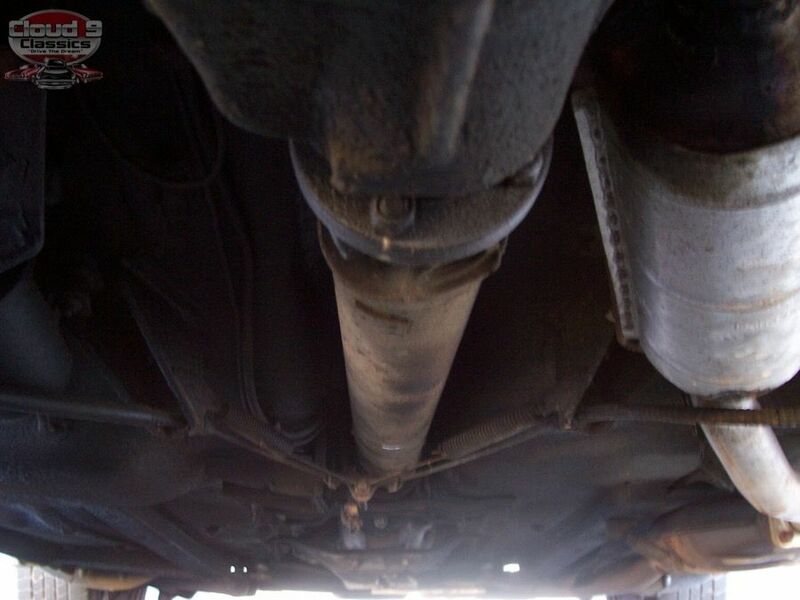 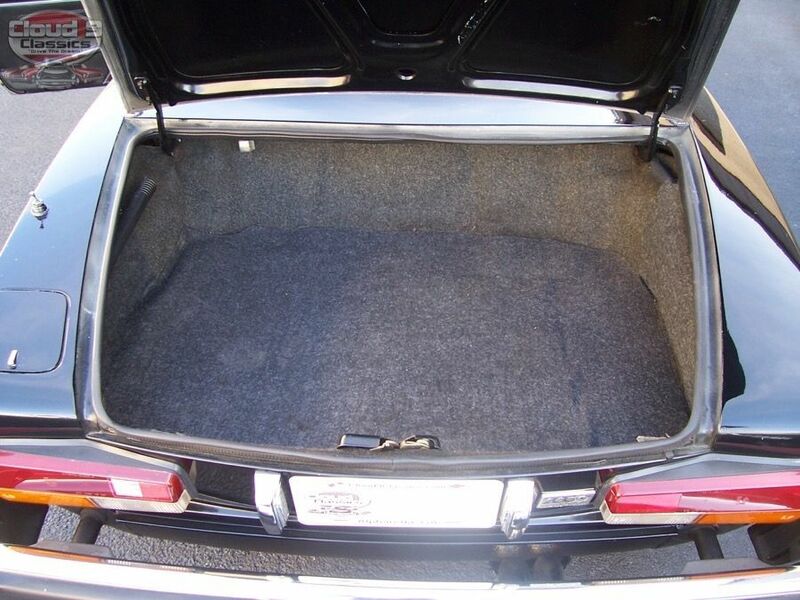 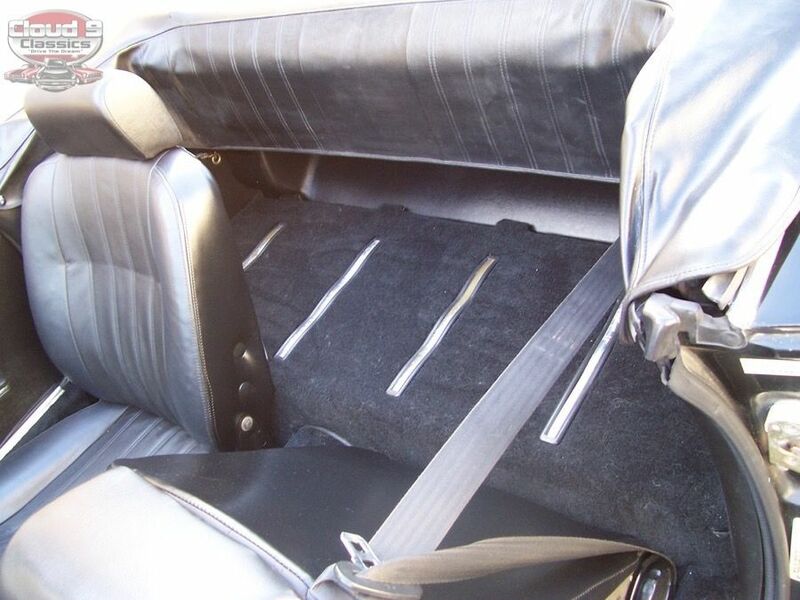 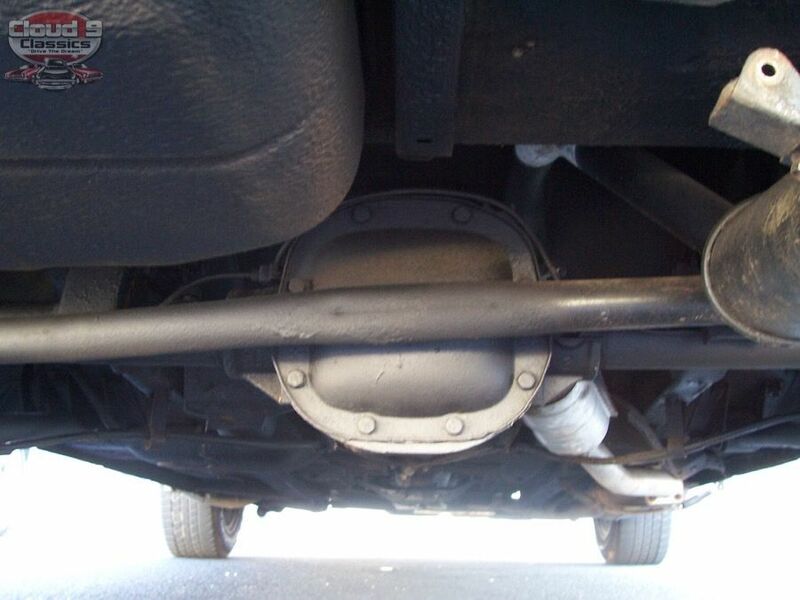 The undercarriage looks great with no rust issues thanks to its life in the south and the same goes for the trunk area which has original carpeting. 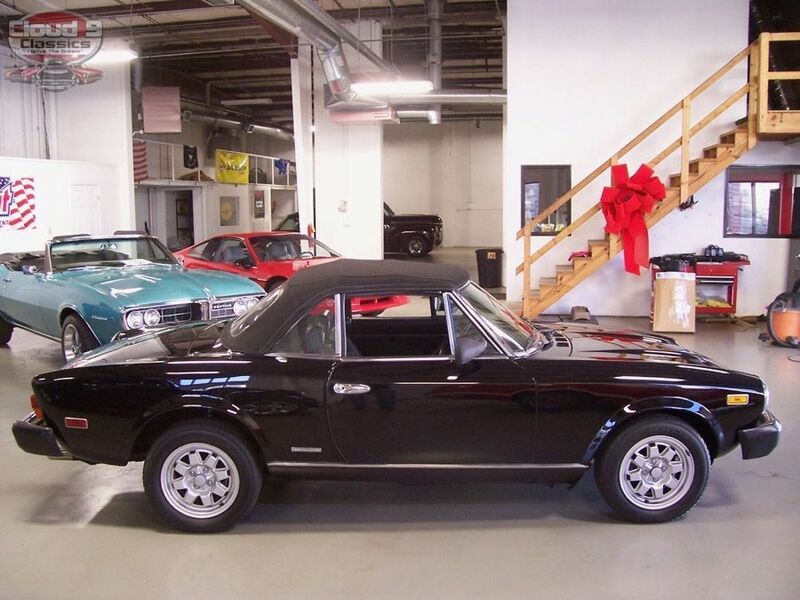 Make sure you watch and listen to the video to hear this little Pininfarina start up and running. 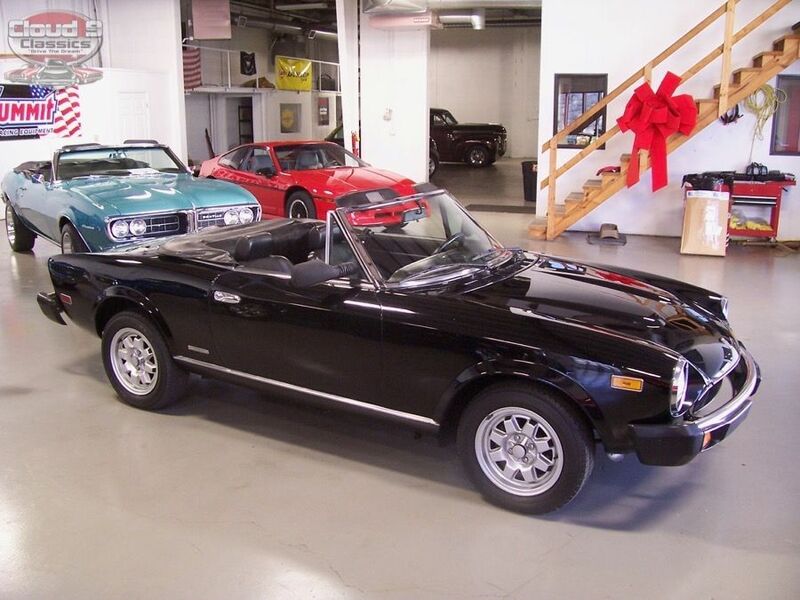 Hopefully at this point you can see that this final production year ’85 Pininfarina Spider 2000 convertible is really a great looking car that will be a blast to drive. 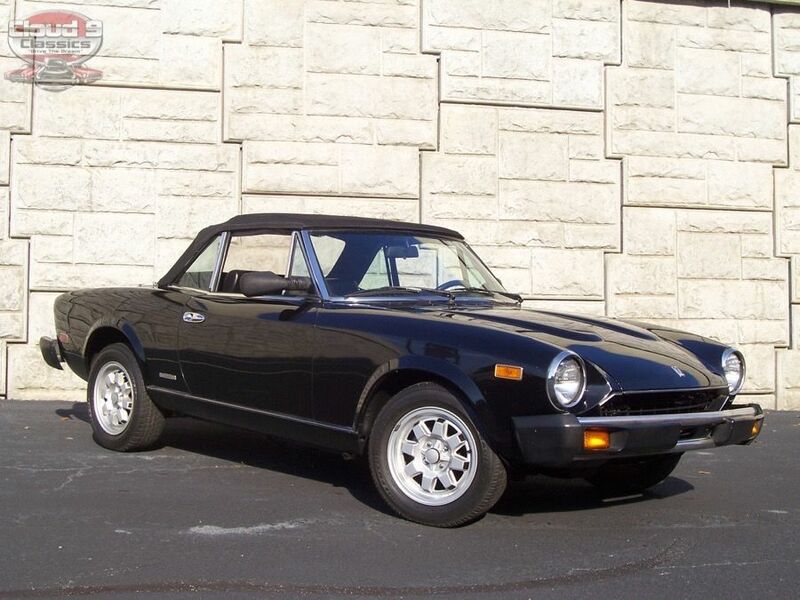 With the new Fiat Spider out on the market the interest for these classics continues to rise and their values will undoubtedly continue to rise as well making them a very smart investment right now. 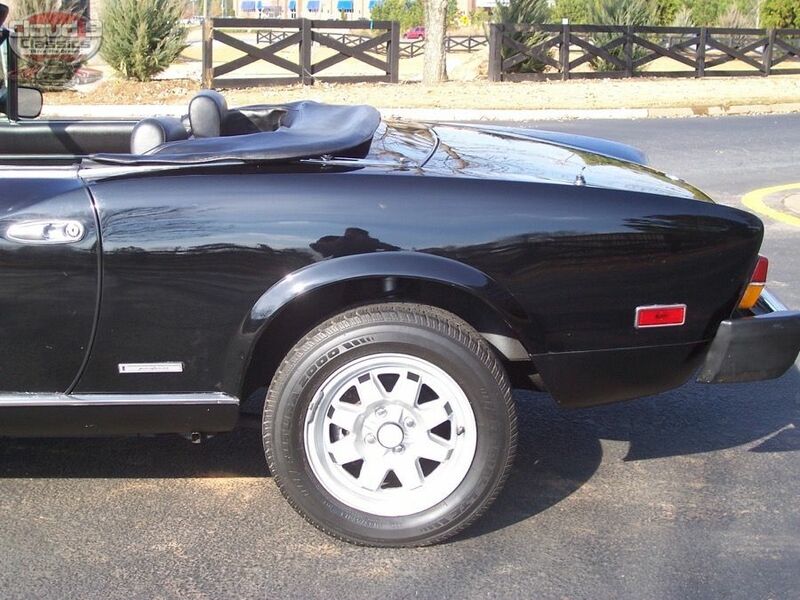 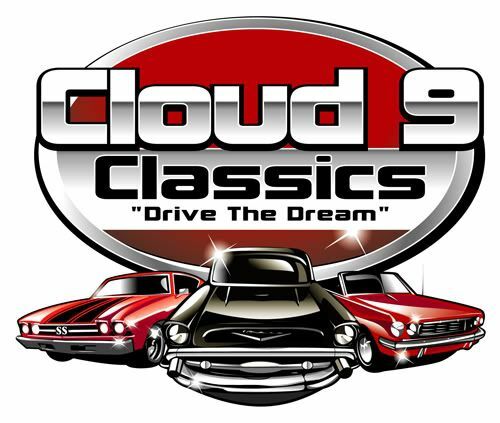 If you have any questions or would ike to discuss how you can scoop this sweet roadster up before the next car guy or gal does feel free to give me a call at 770-359-8400. 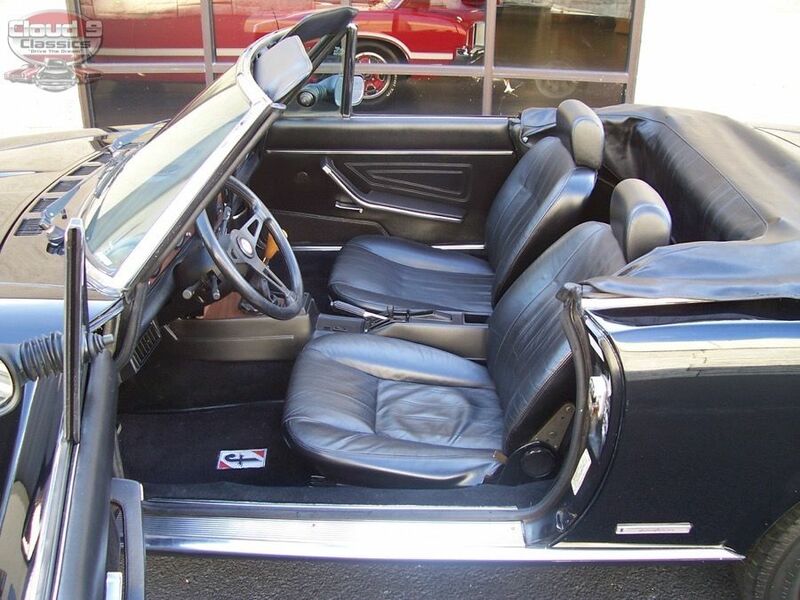 I welcome overseas buyers and can help any buyer with a great rate on transport anywhere in the US.